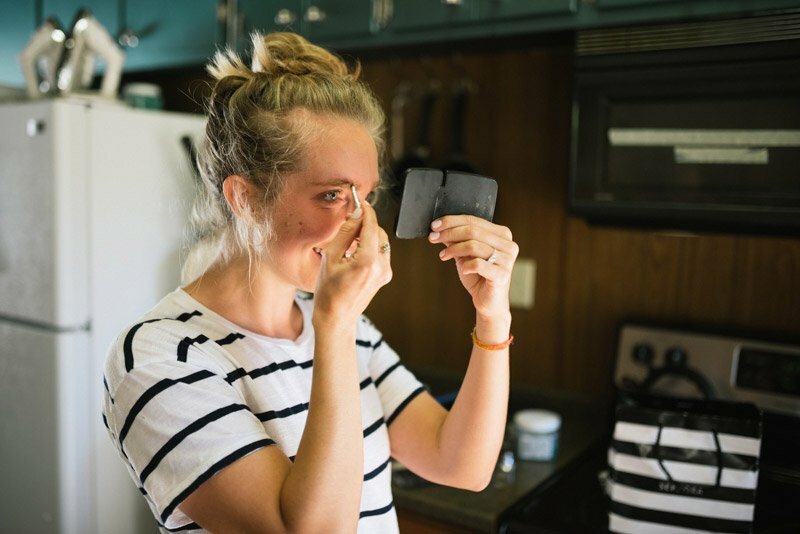 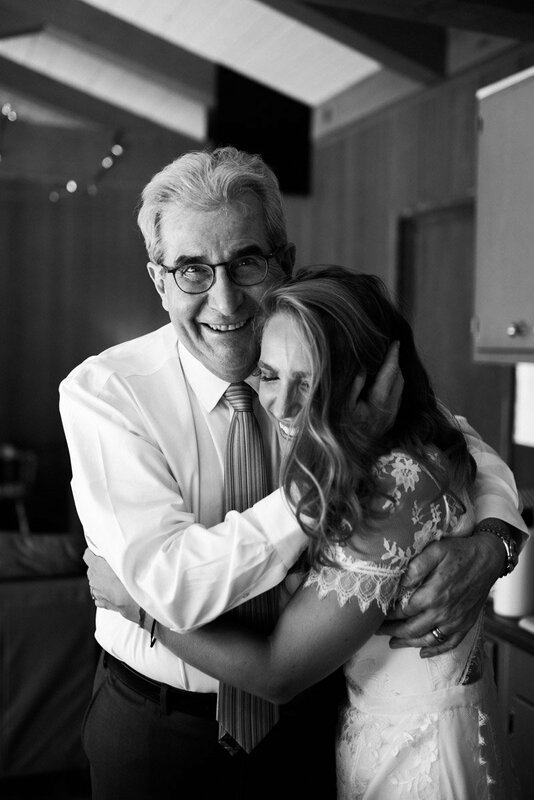 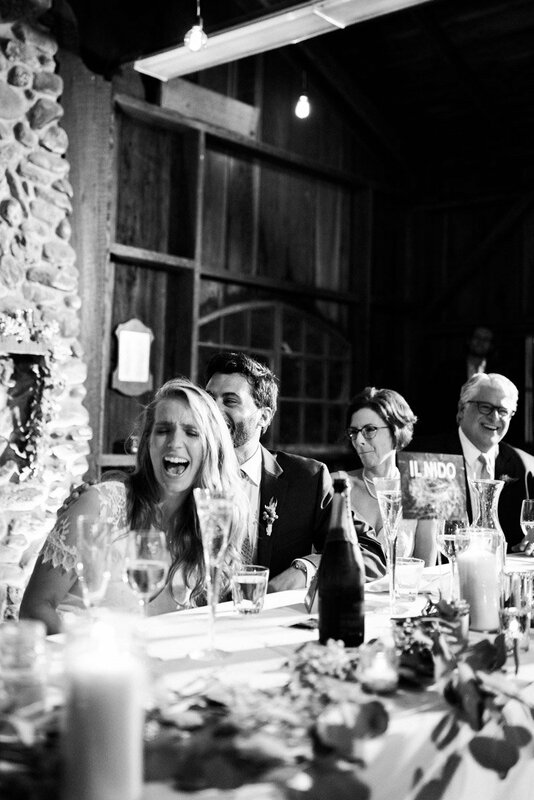 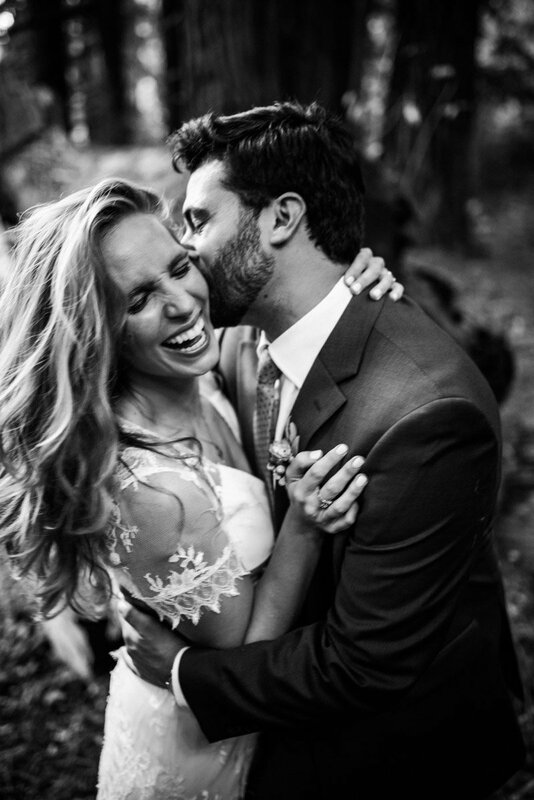 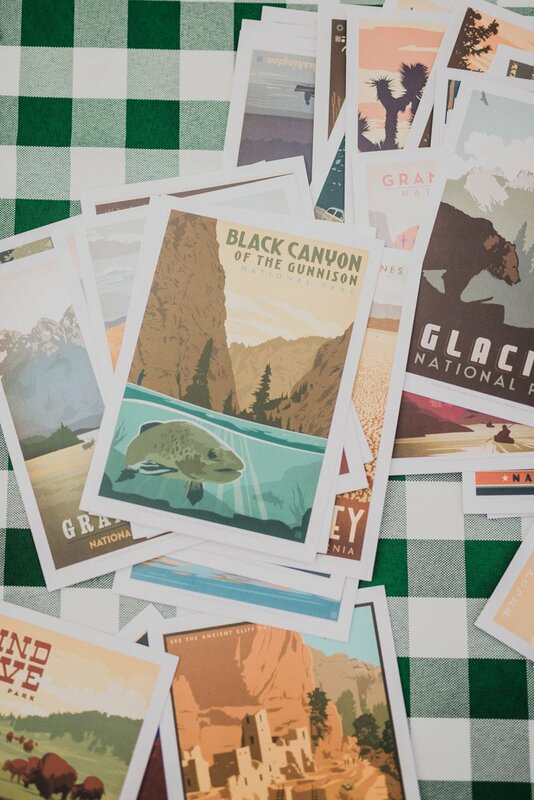 When I first talked with Laura, she mentioned how important it was to capture real moments. 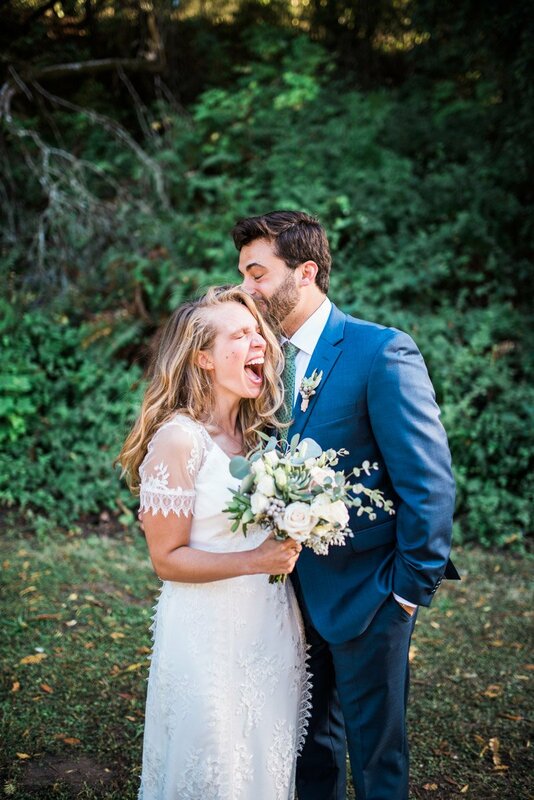 That posed pictures were not her and Nick’s thing. 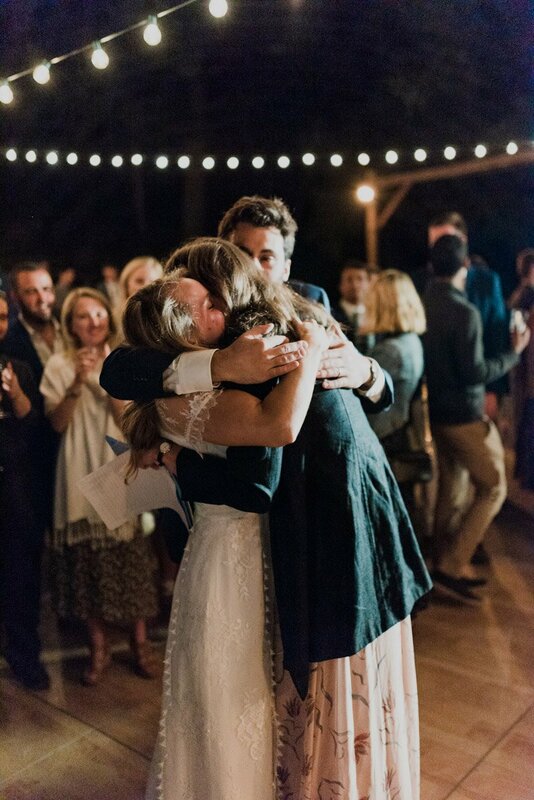 Meanwhile I was doing a major happy dance on the other end of the phone because I’m all about REAL MOMENTS. 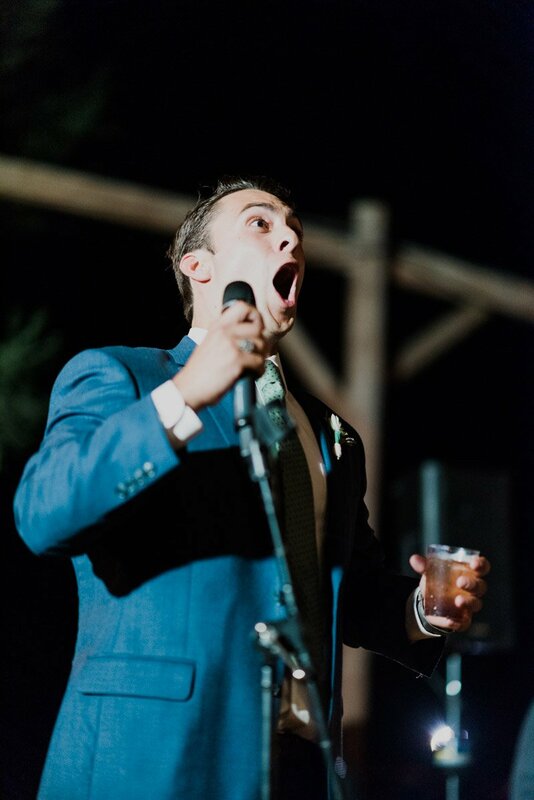 I thrive on capturing emotion. 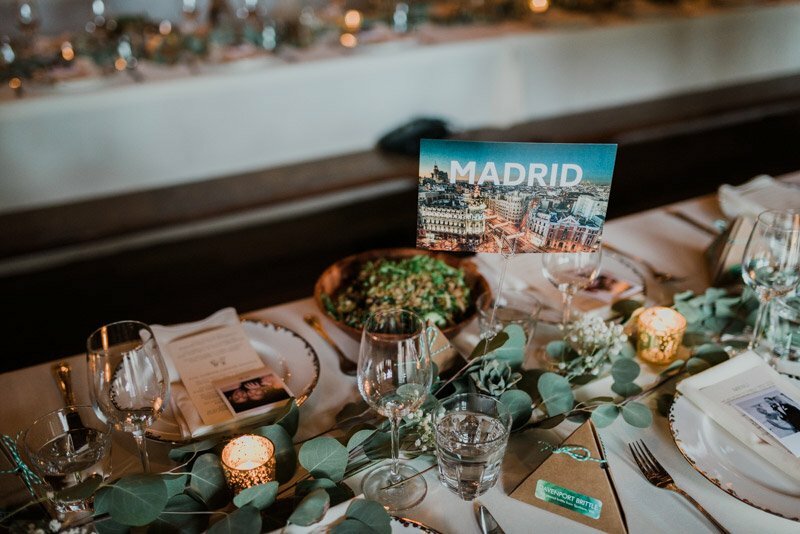 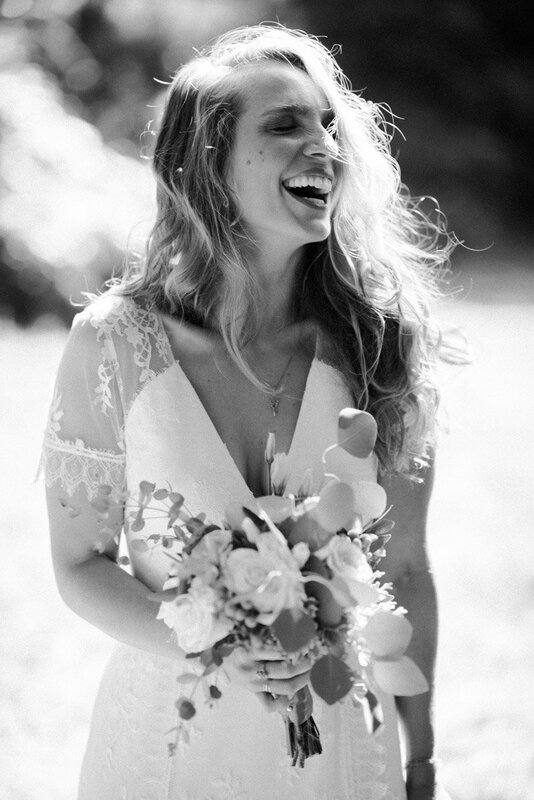 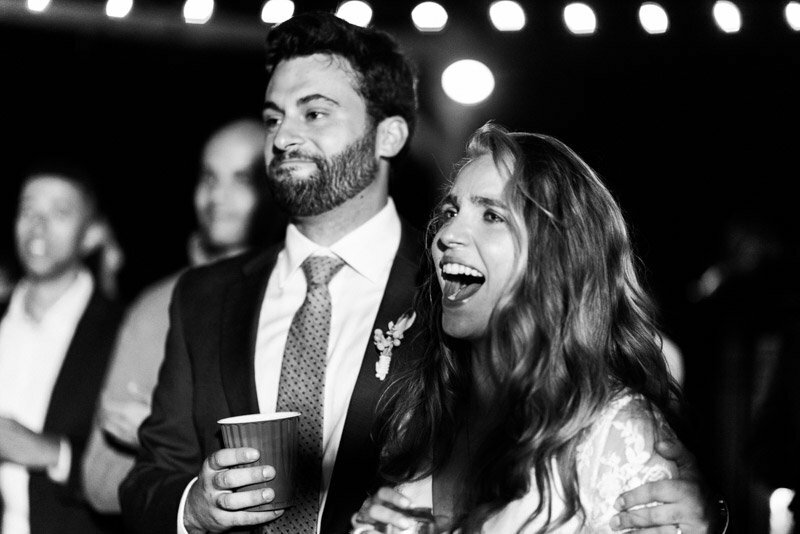 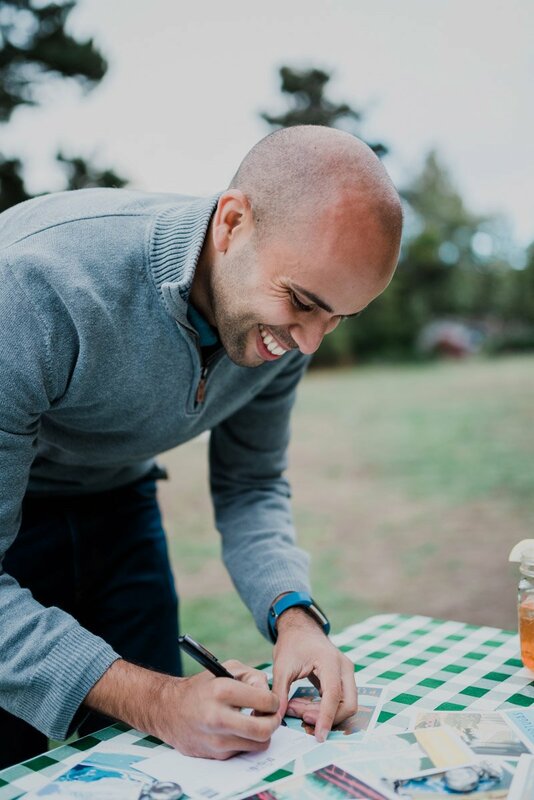 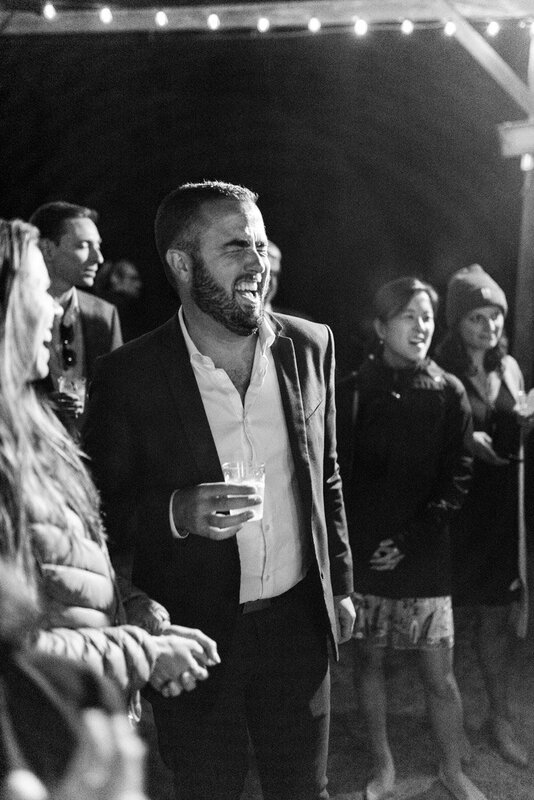 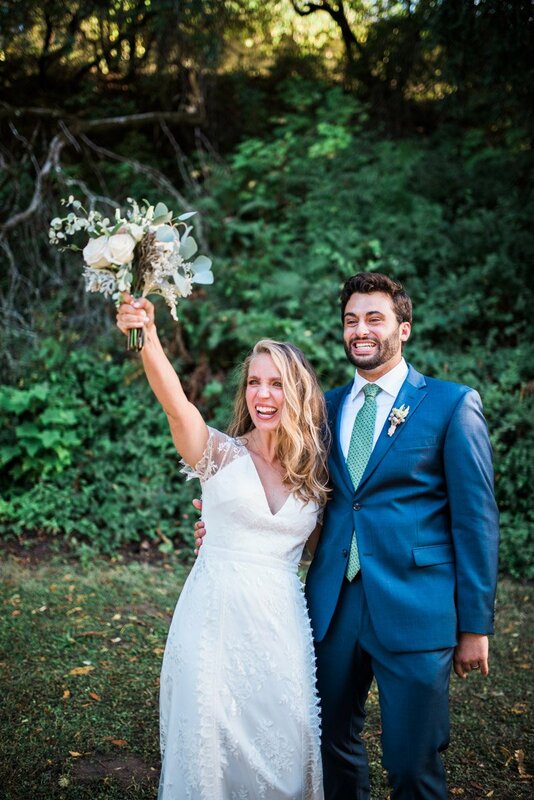 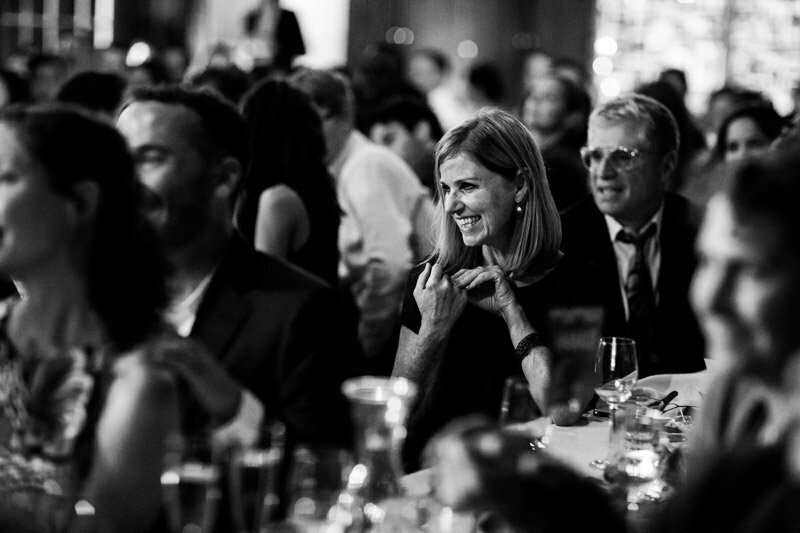 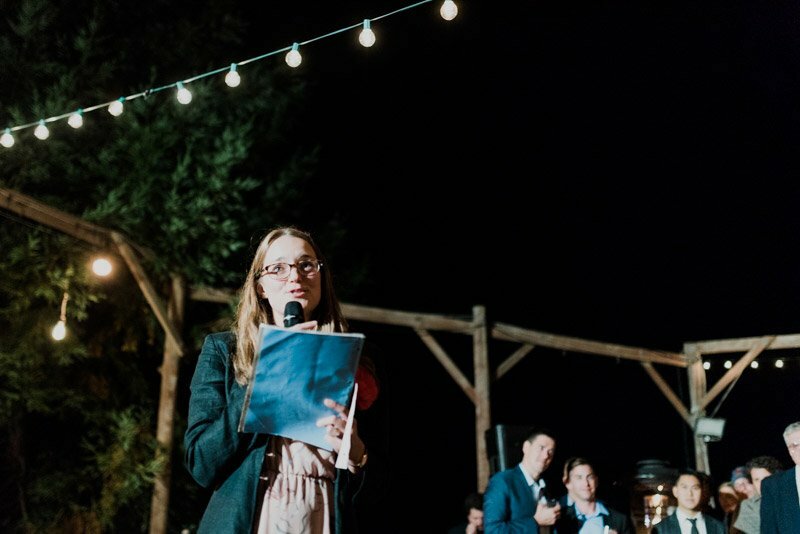 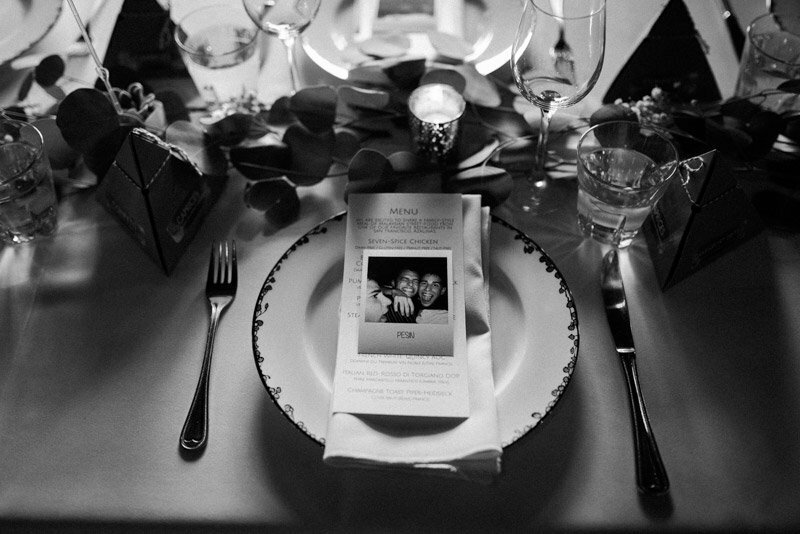 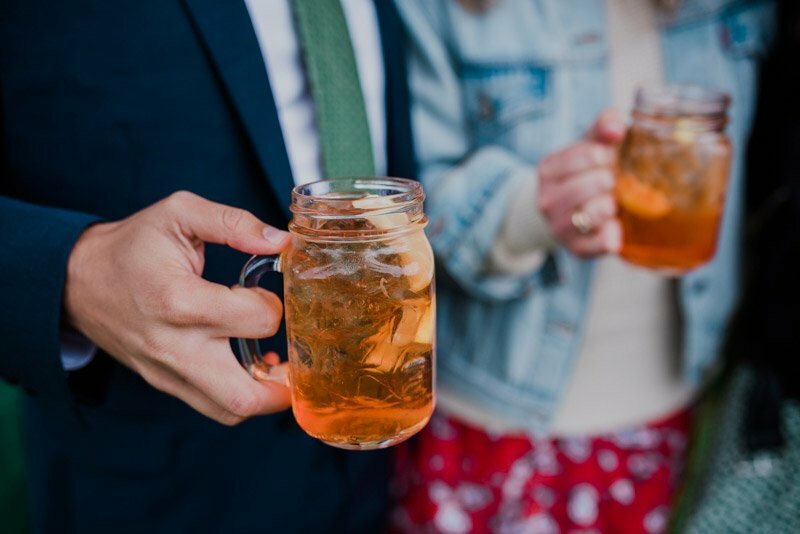 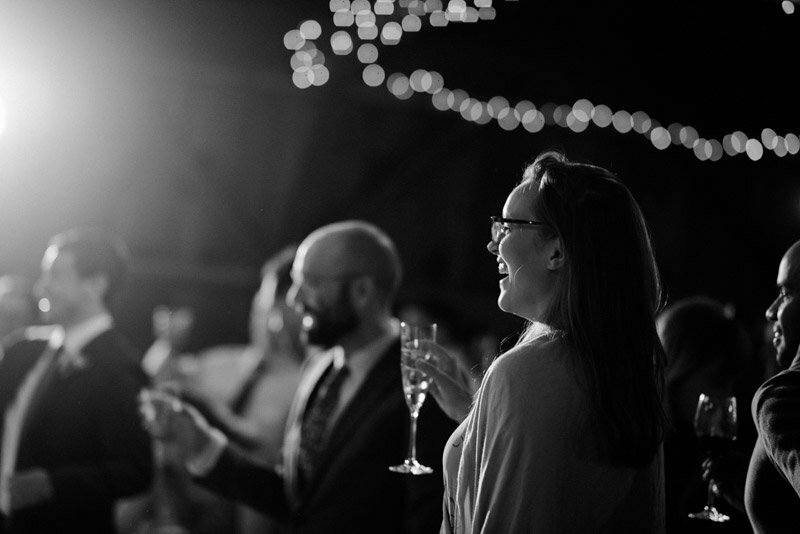 To be able to document how someones wedding actually felt like is a huge deal to me. 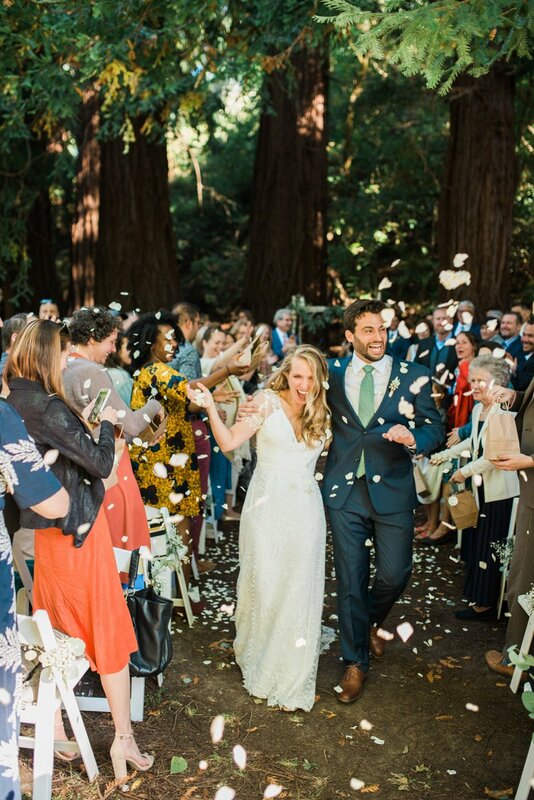 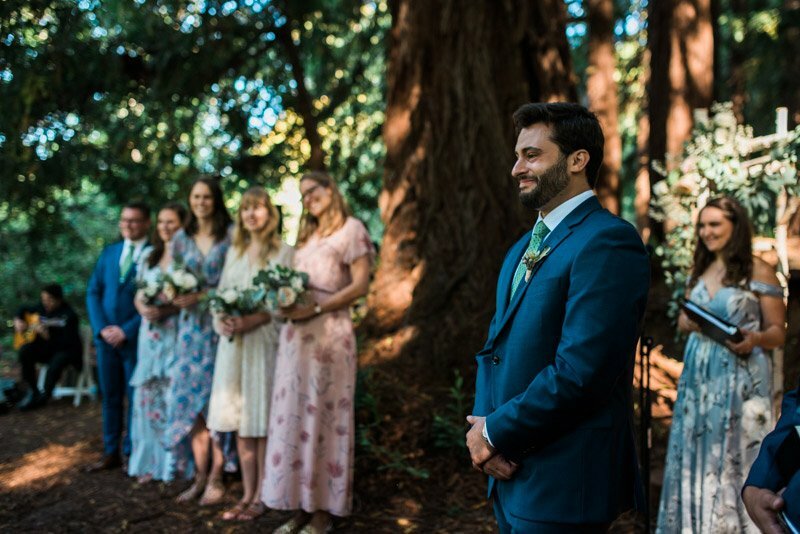 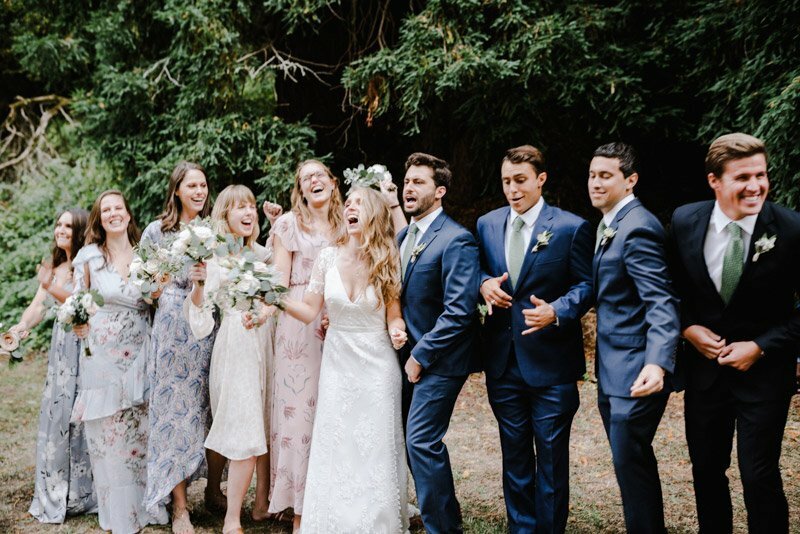 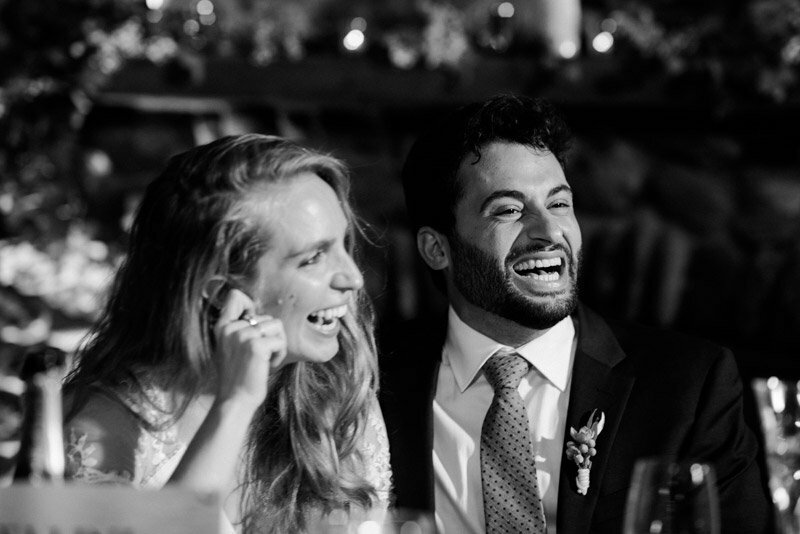 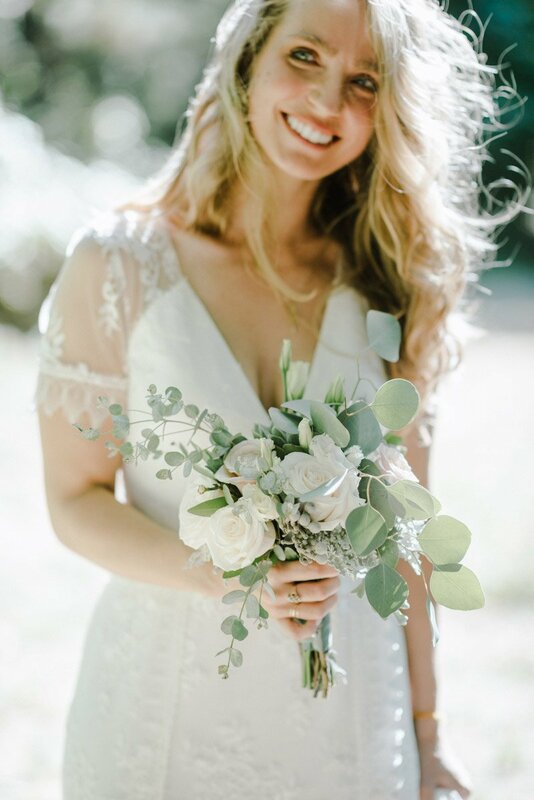 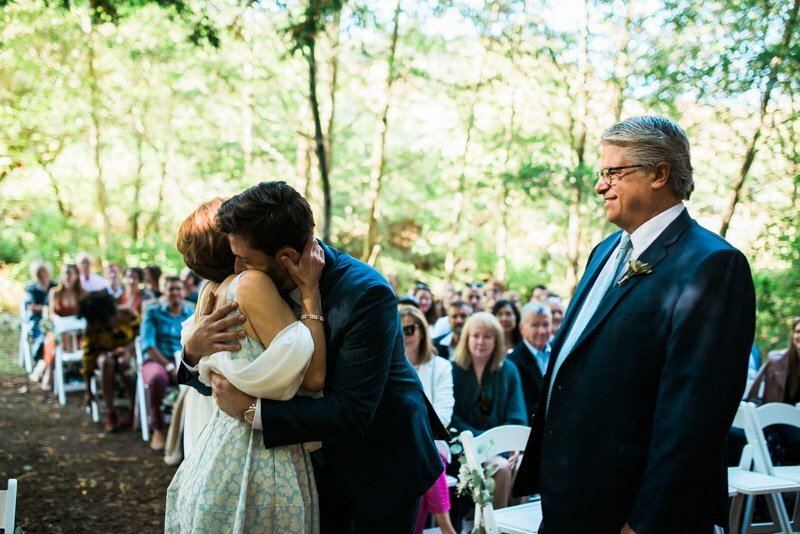 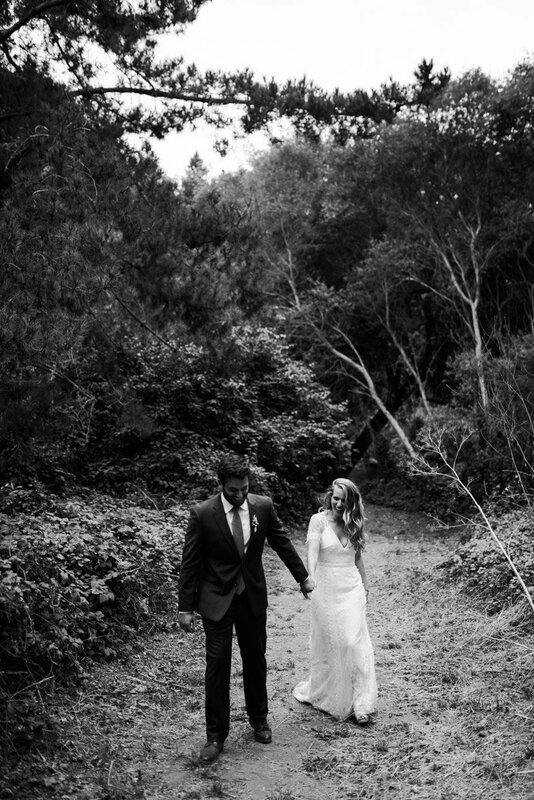 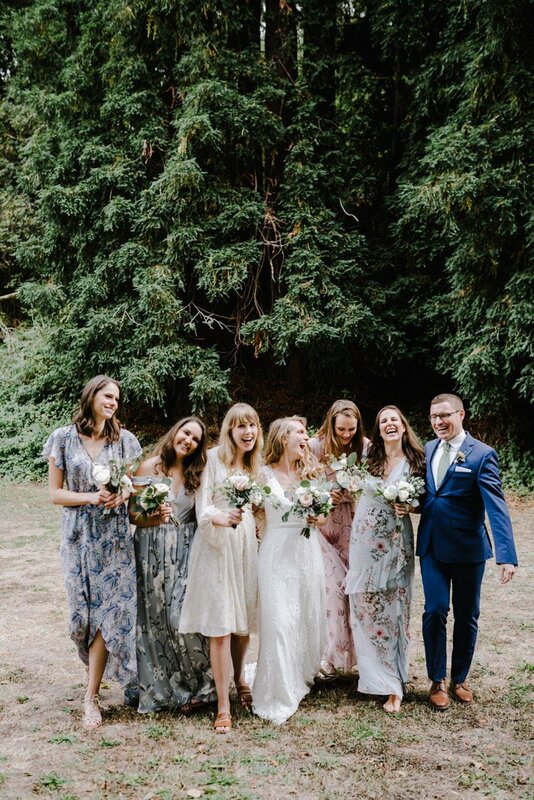 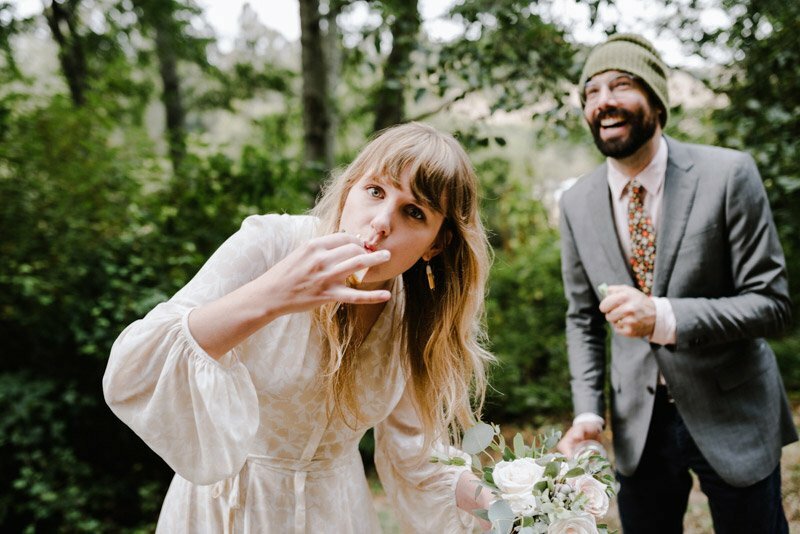 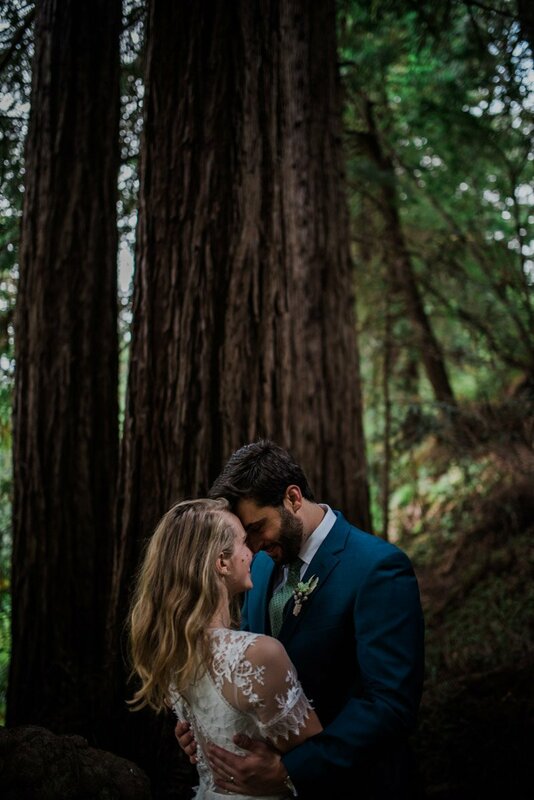 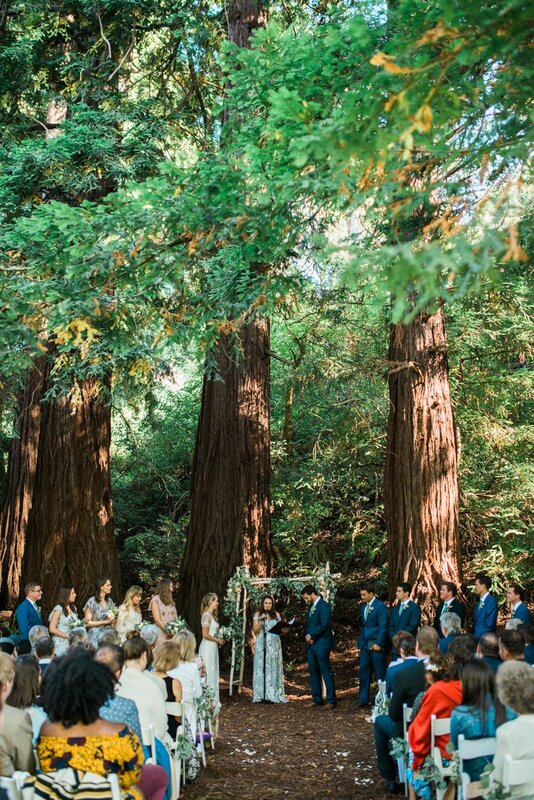 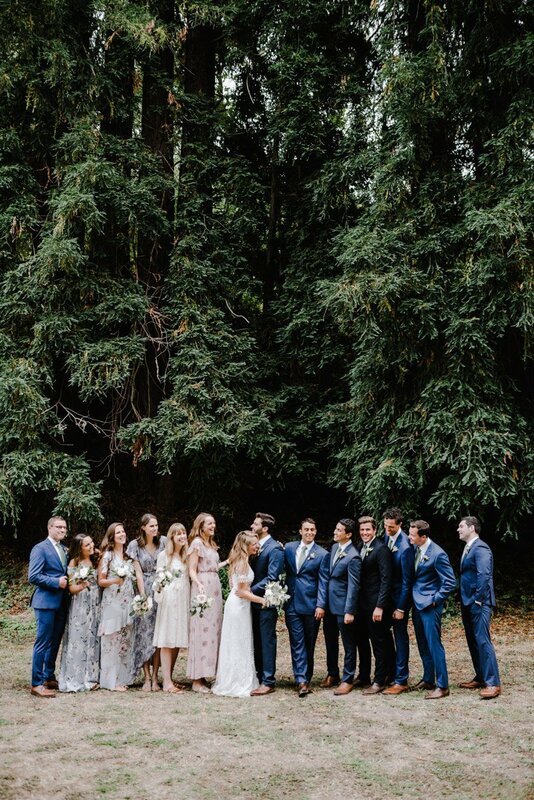 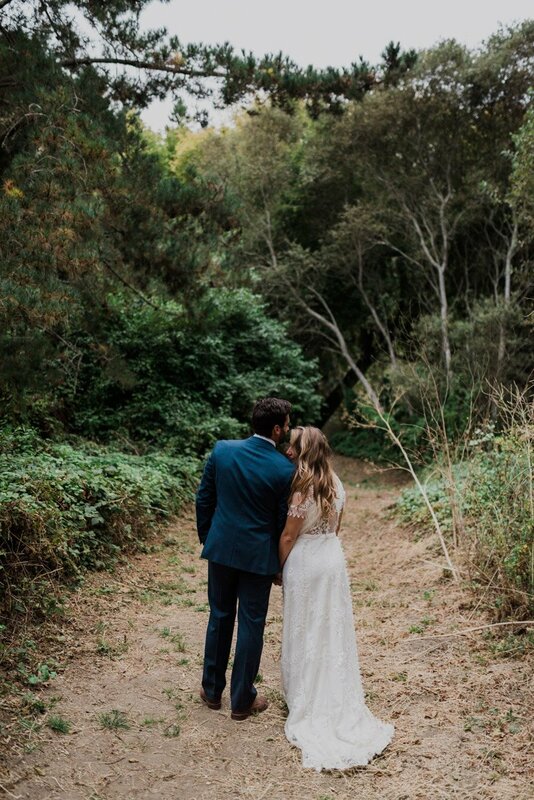 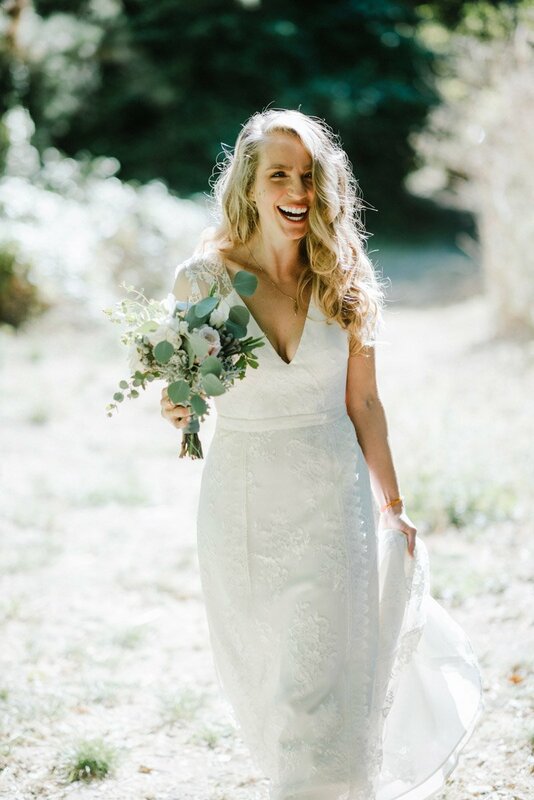 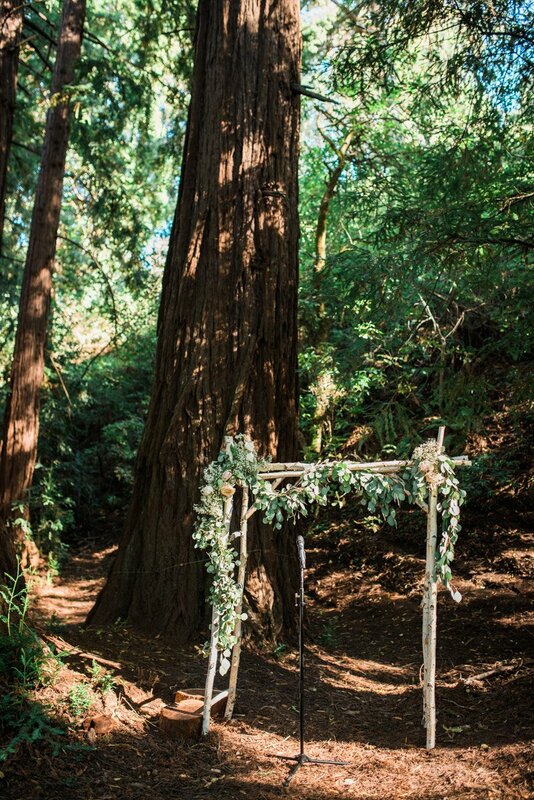 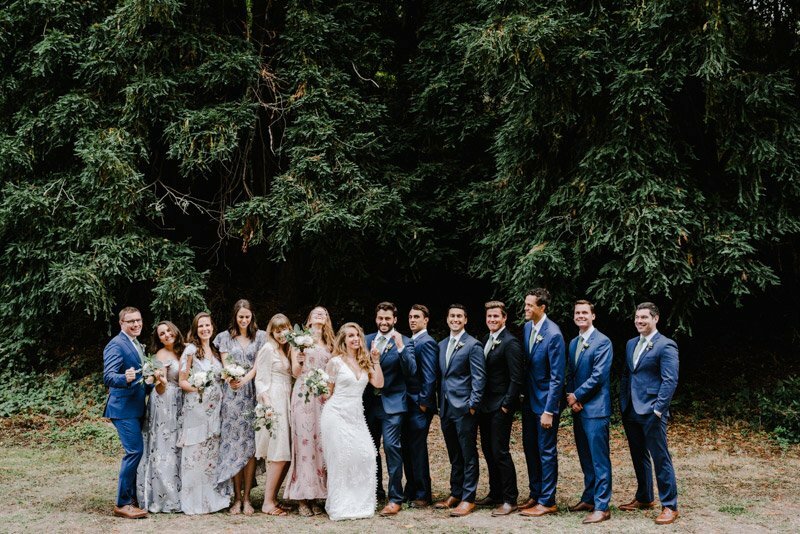 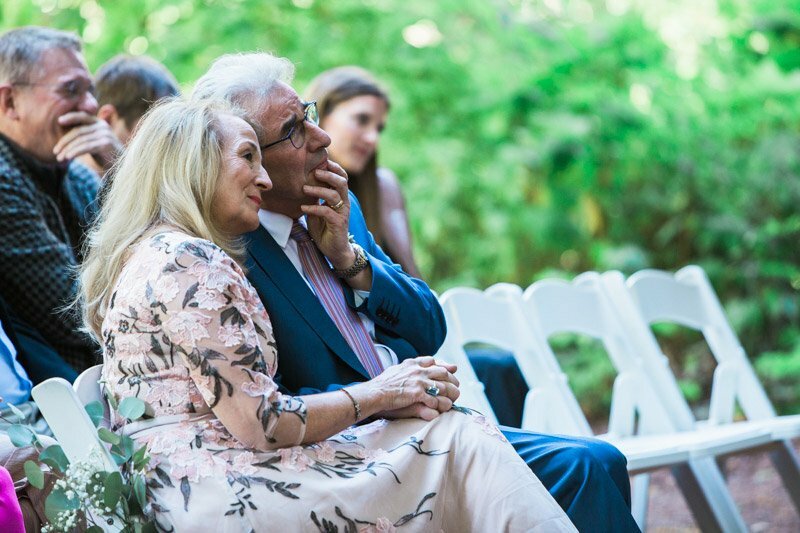 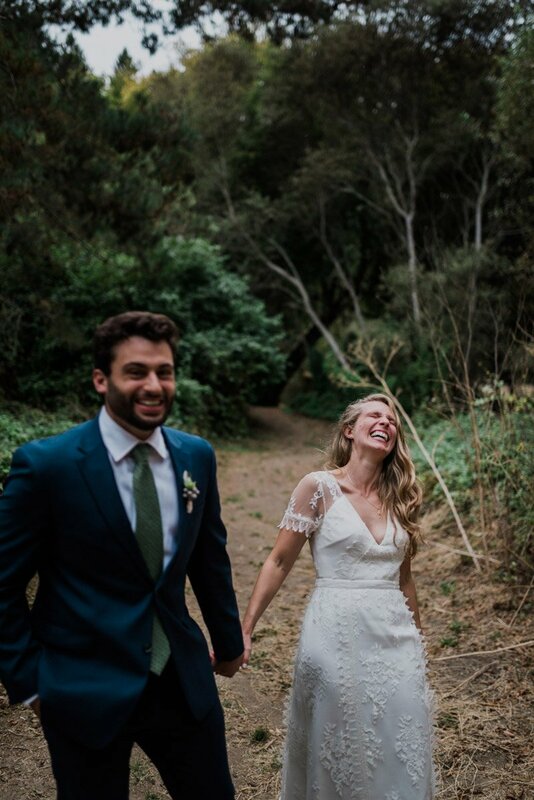 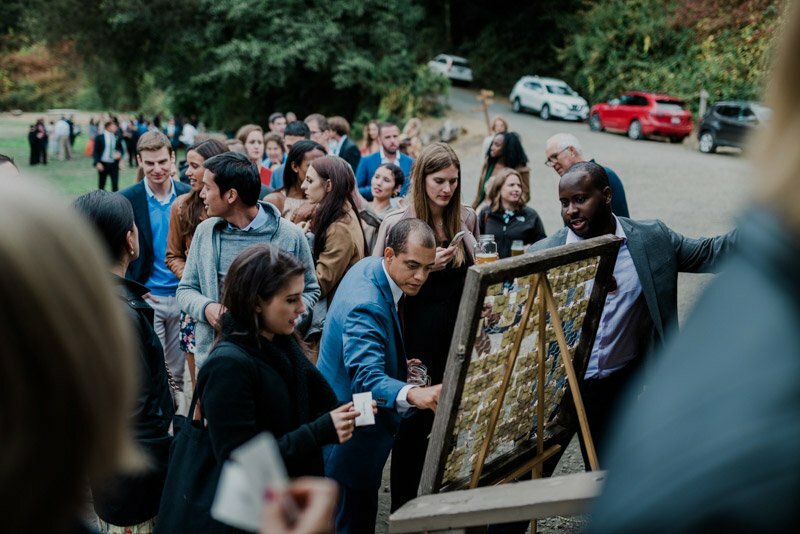 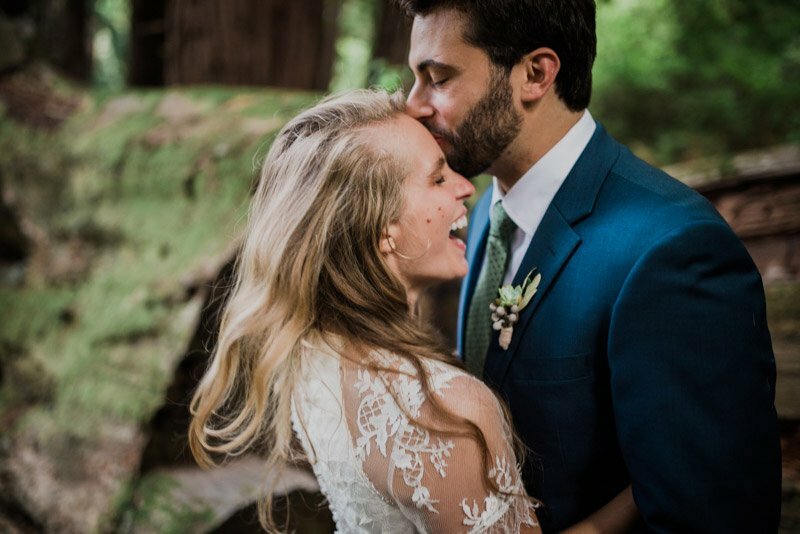 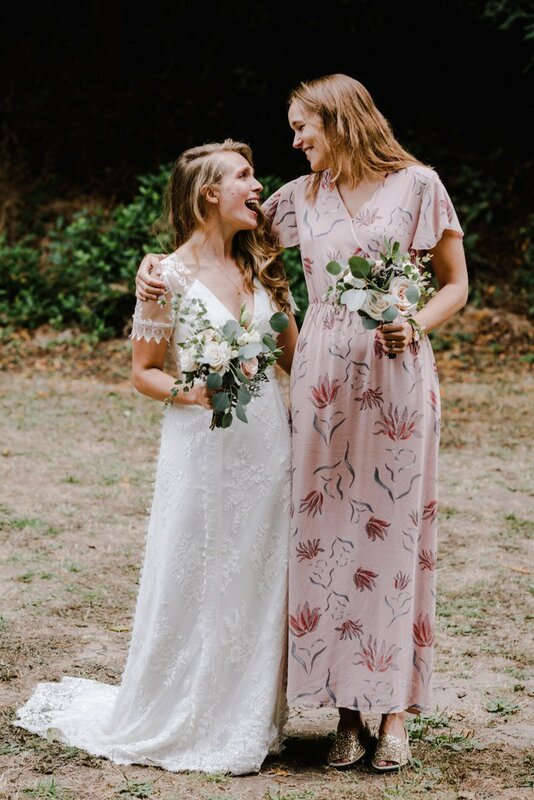 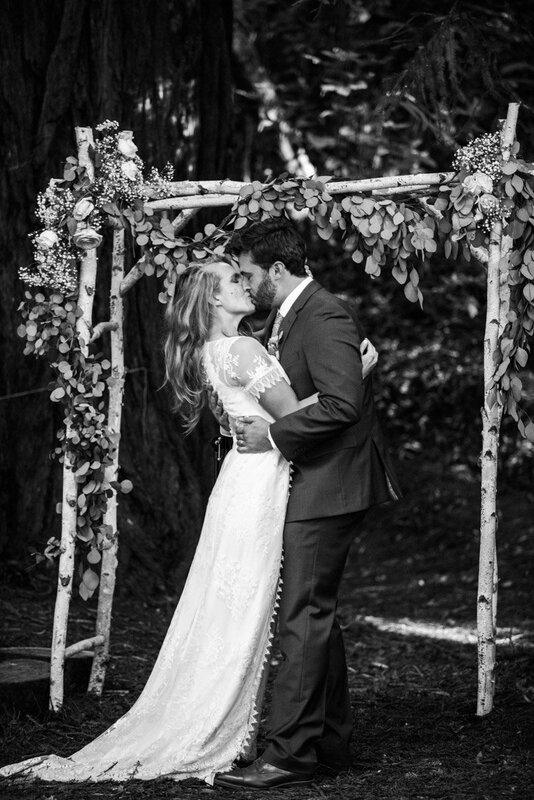 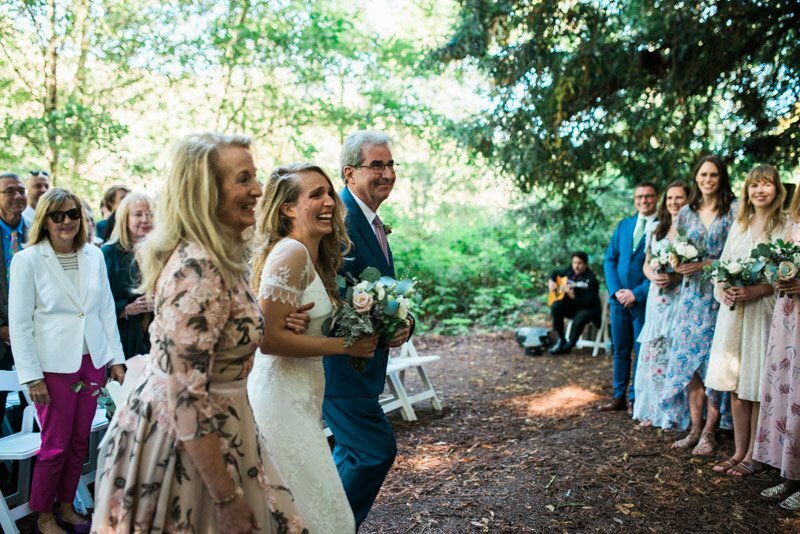 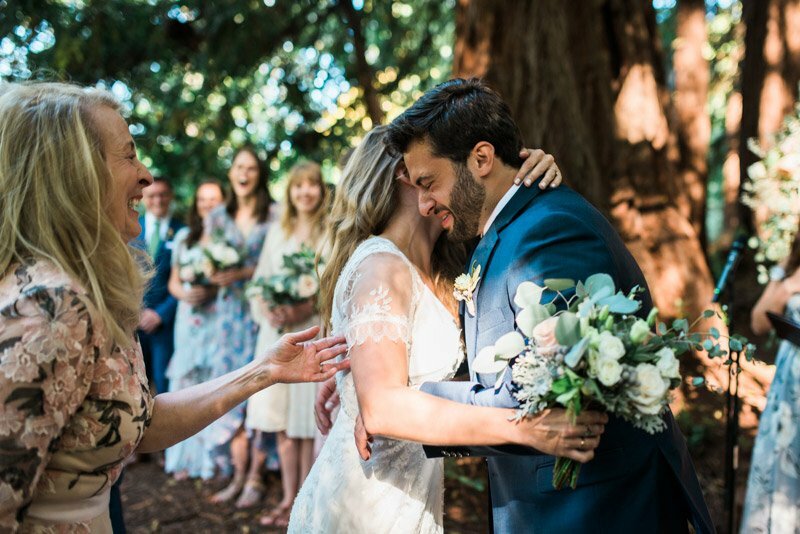 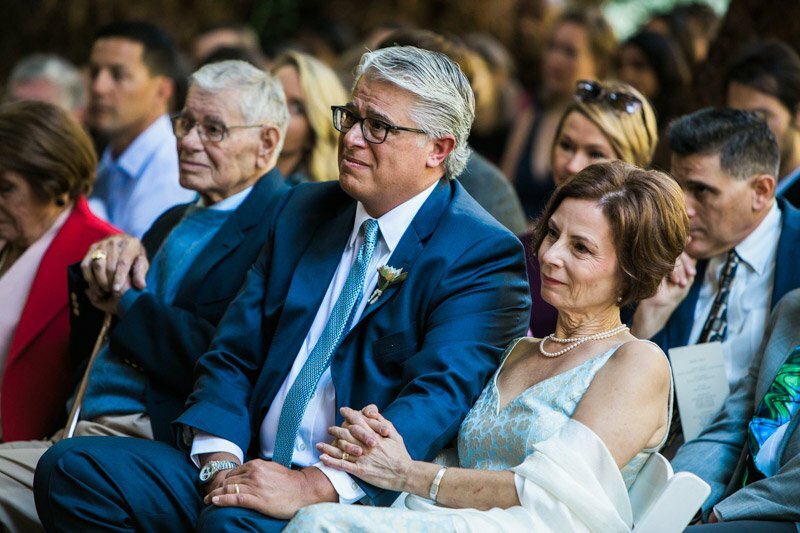 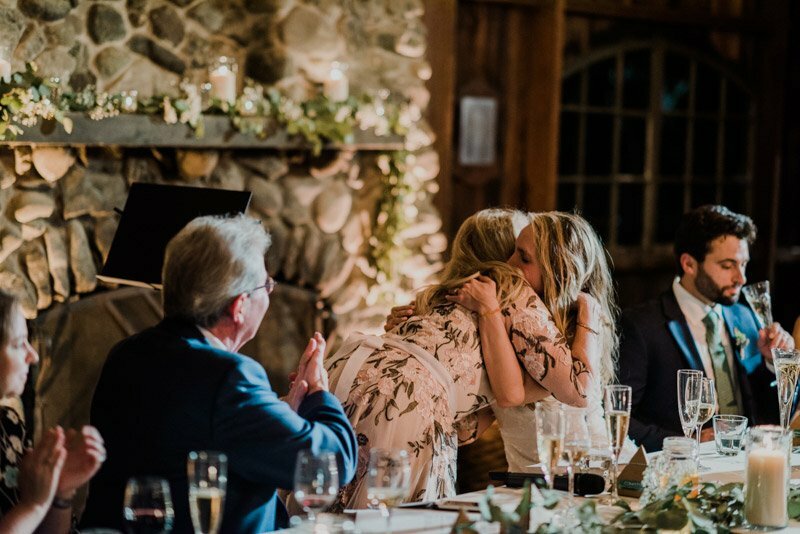 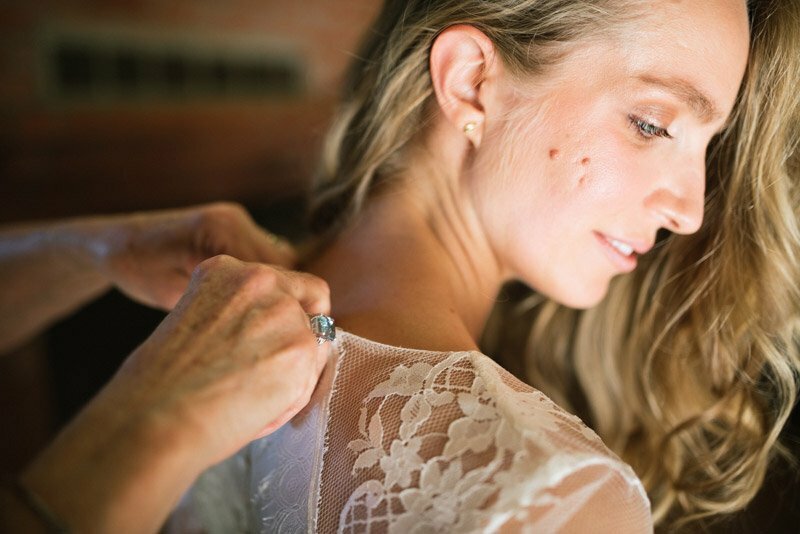 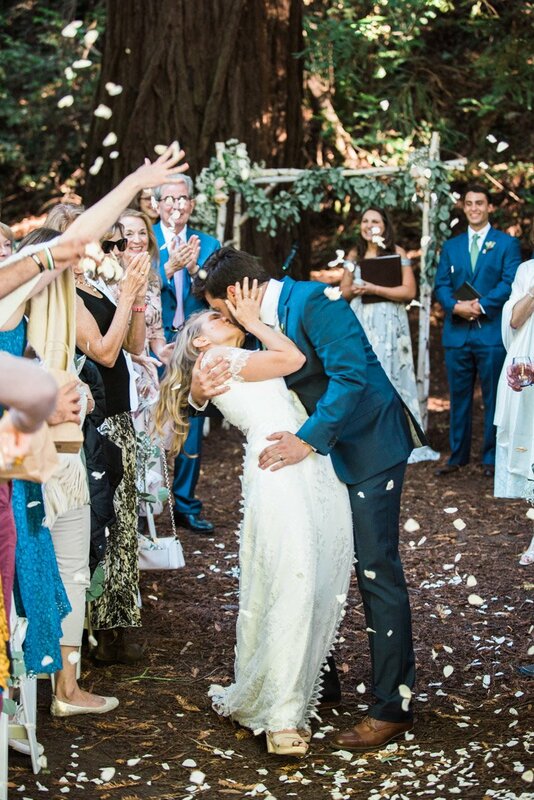 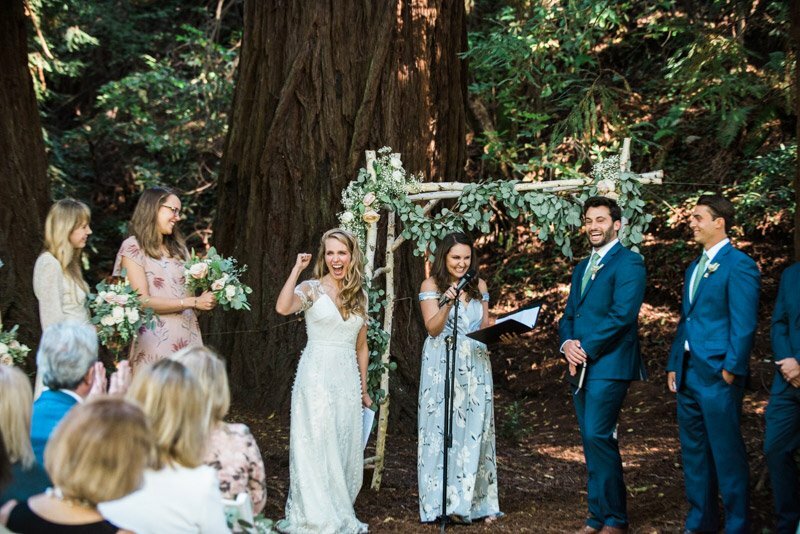 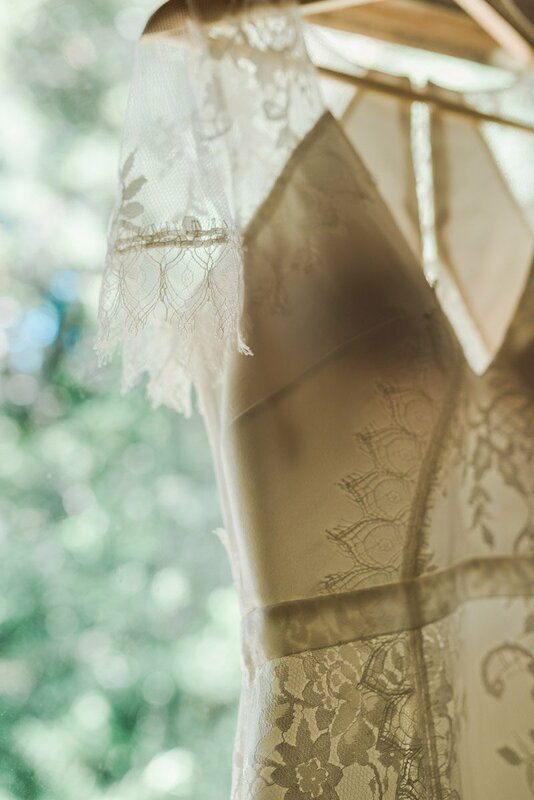 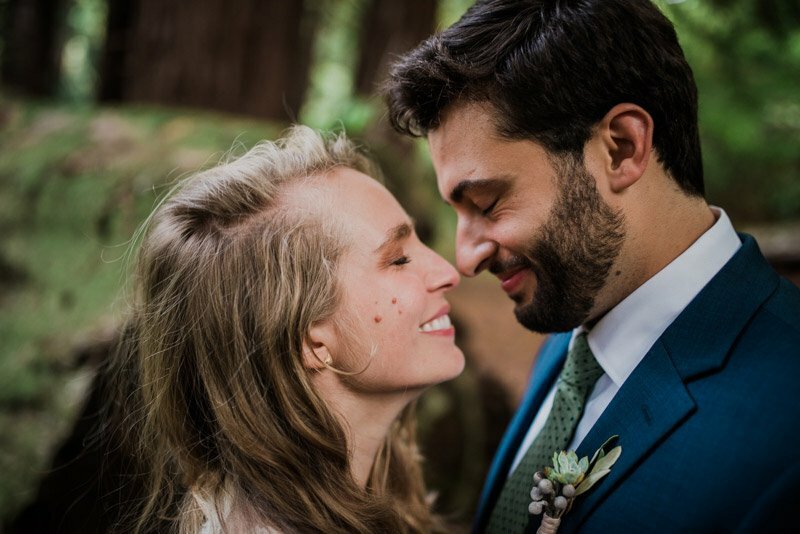 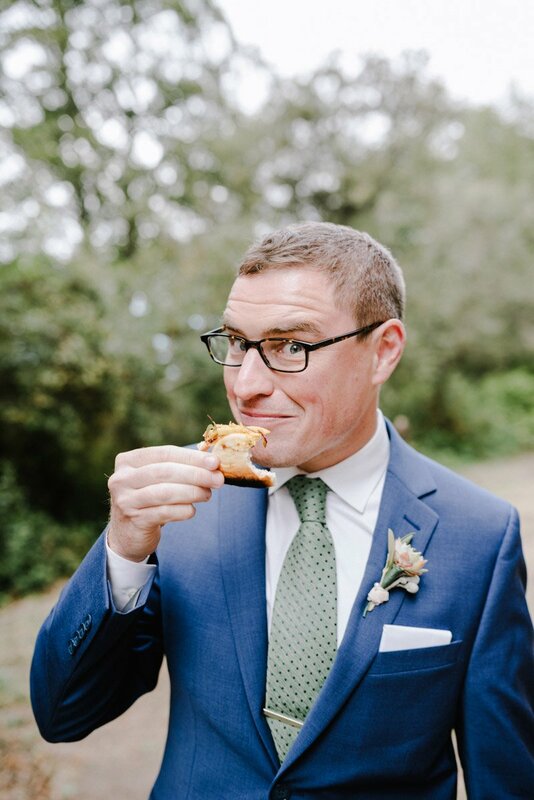 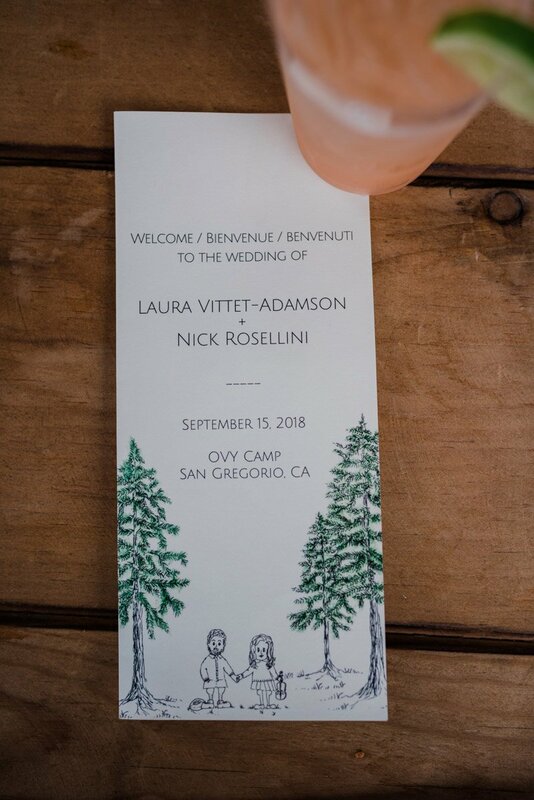 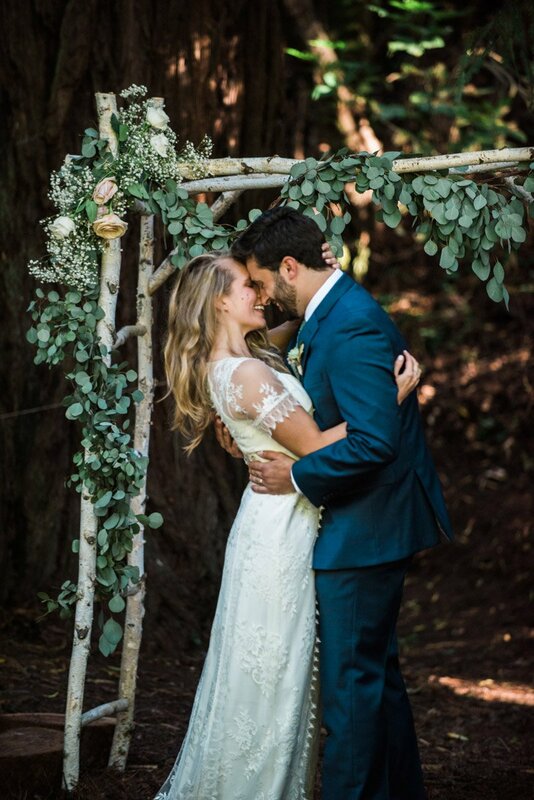 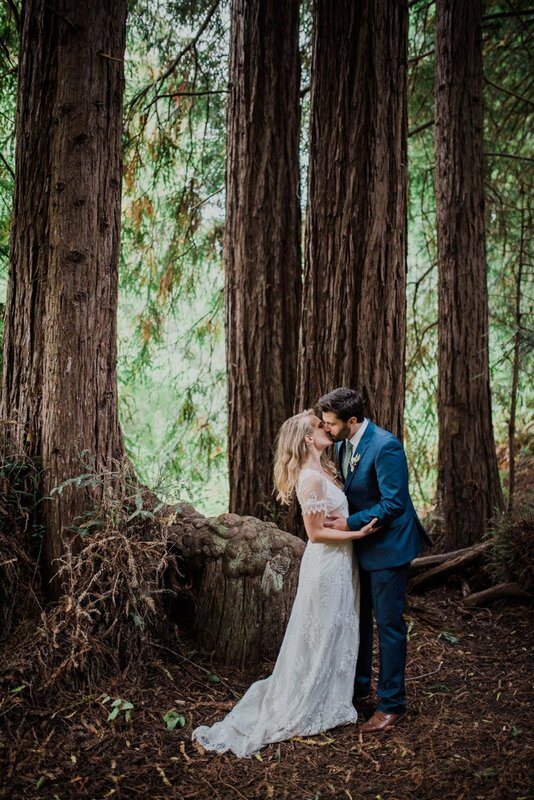 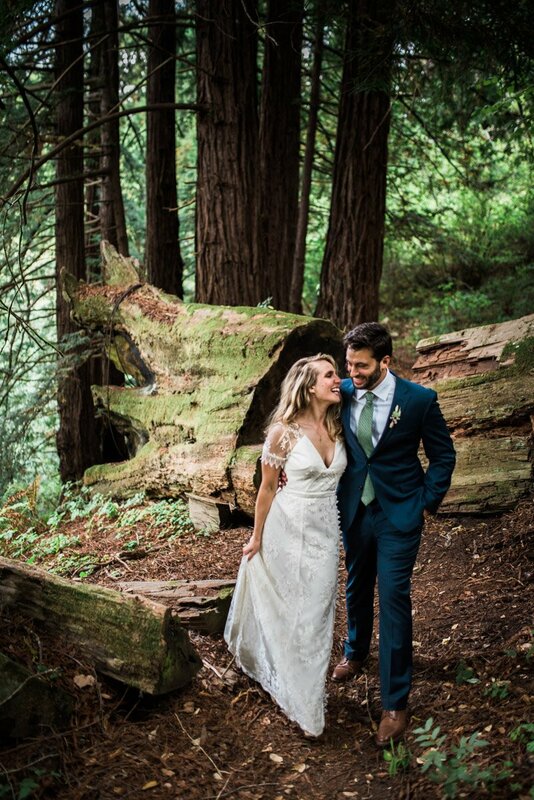 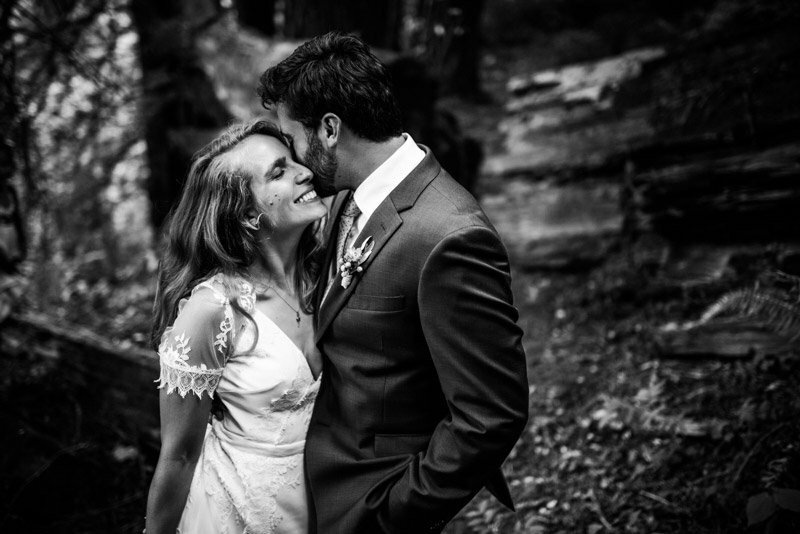 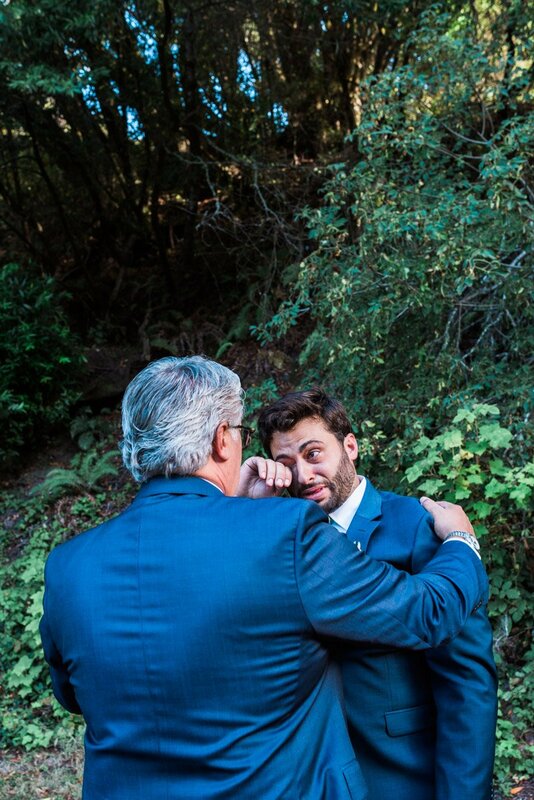 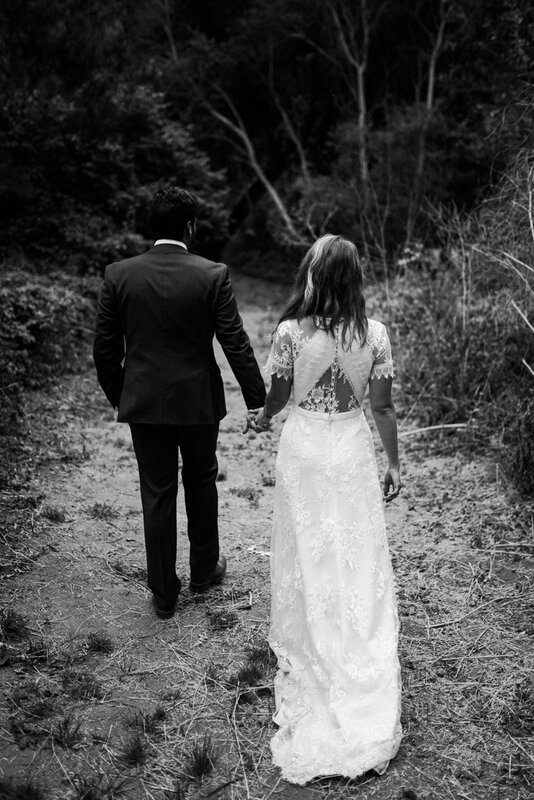 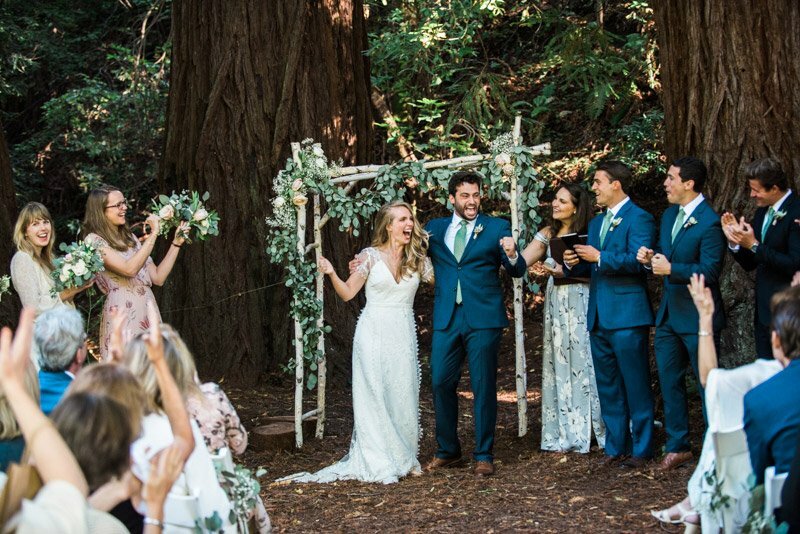 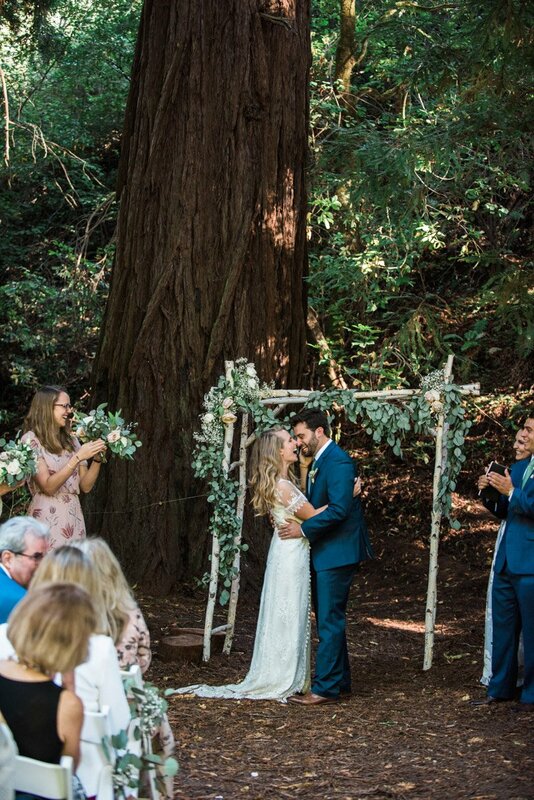 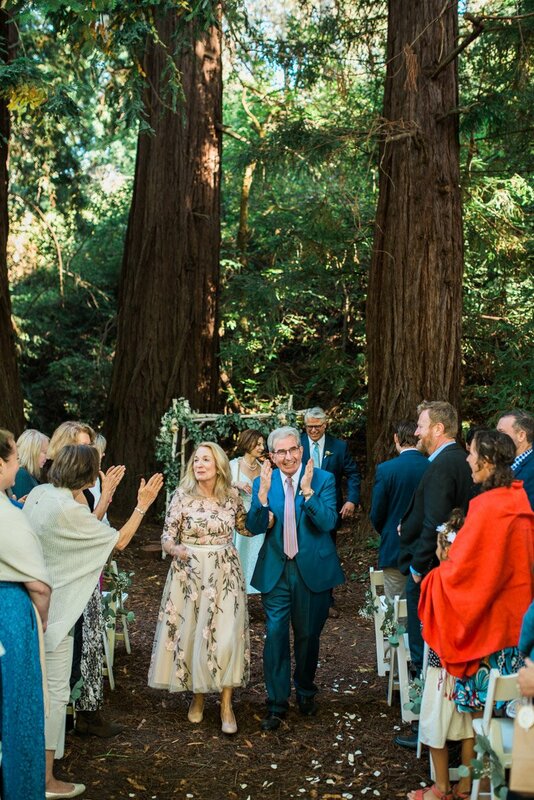 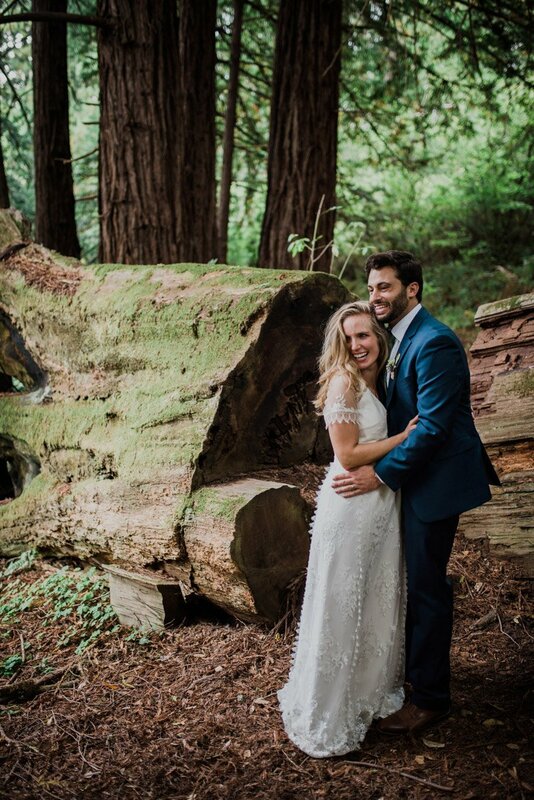 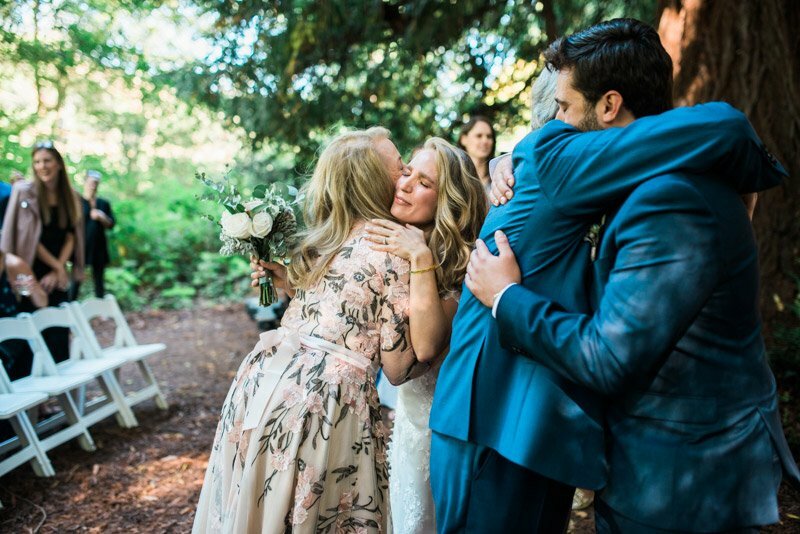 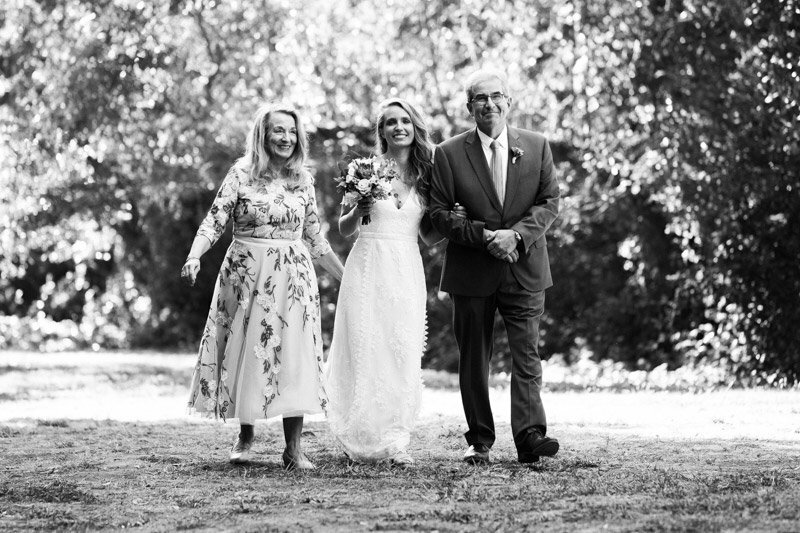 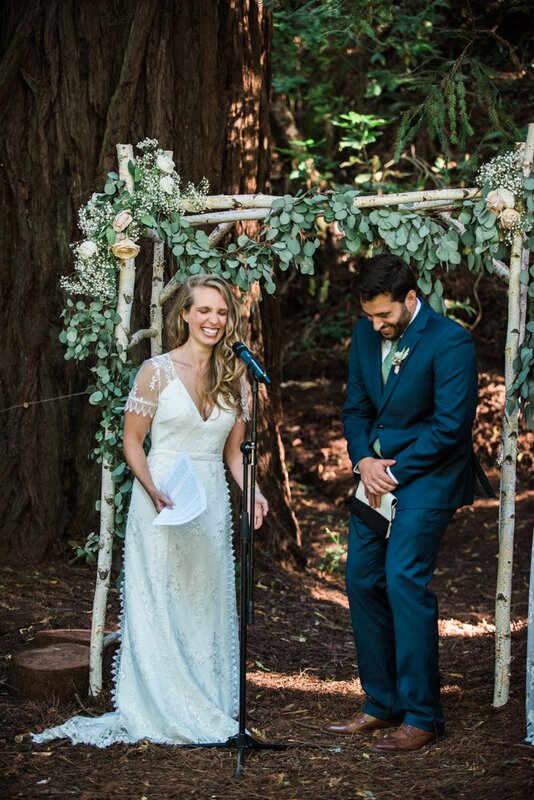 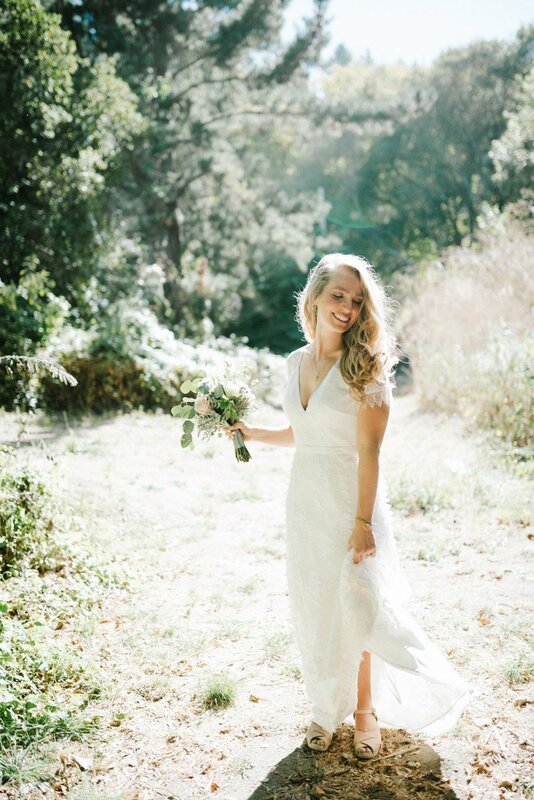 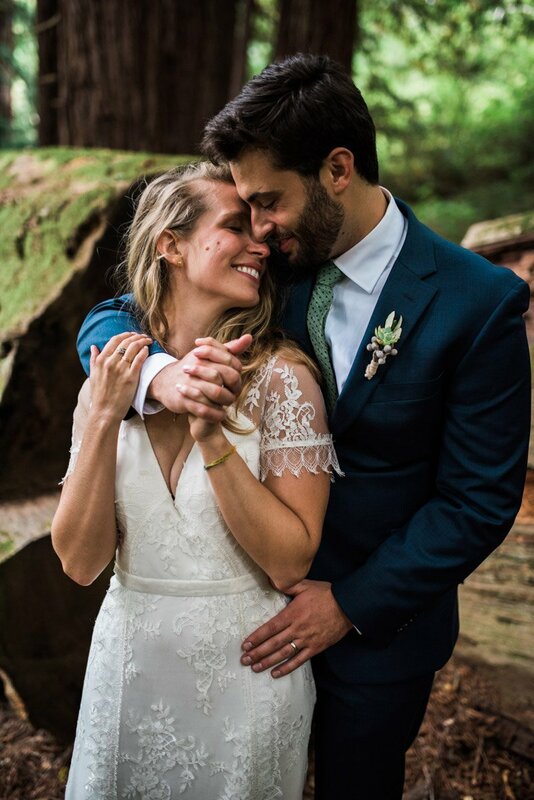 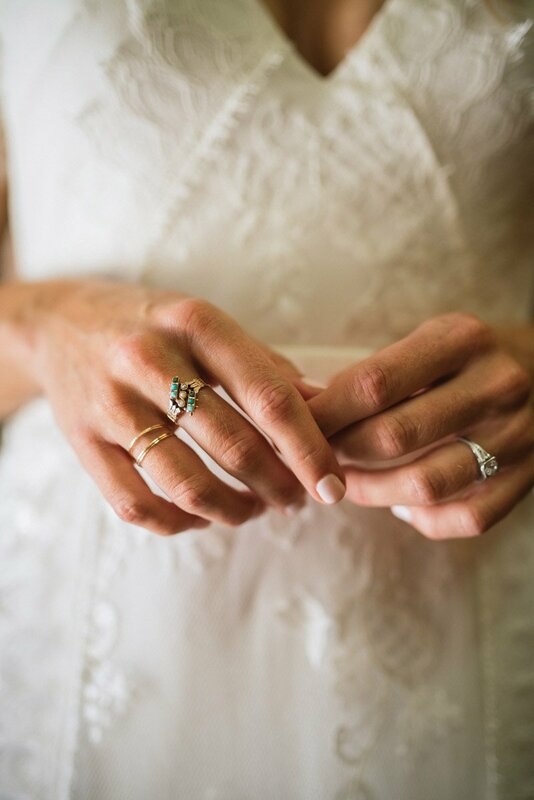 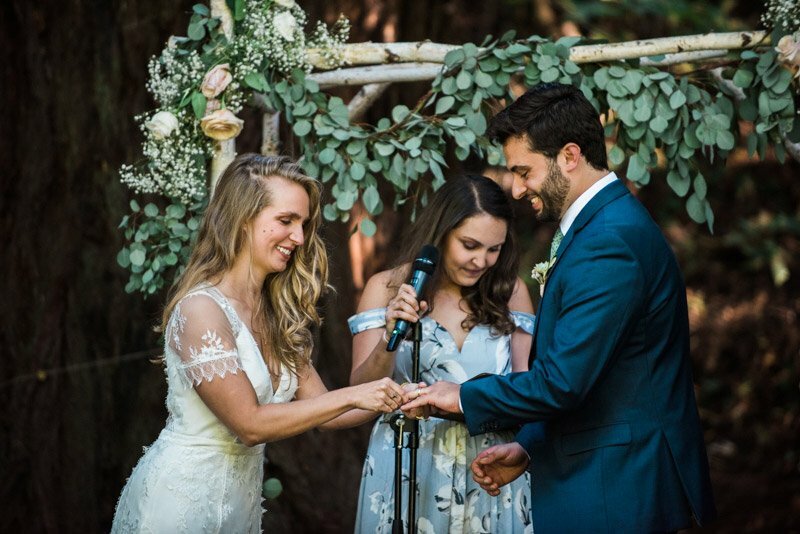 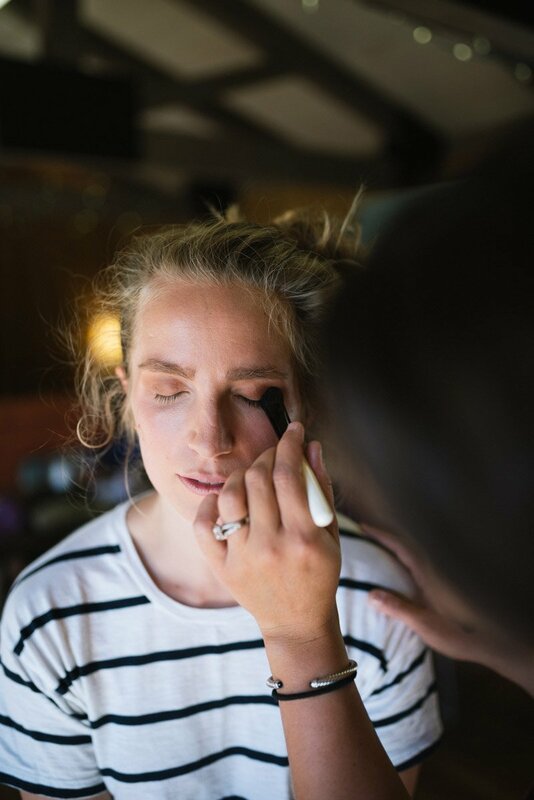 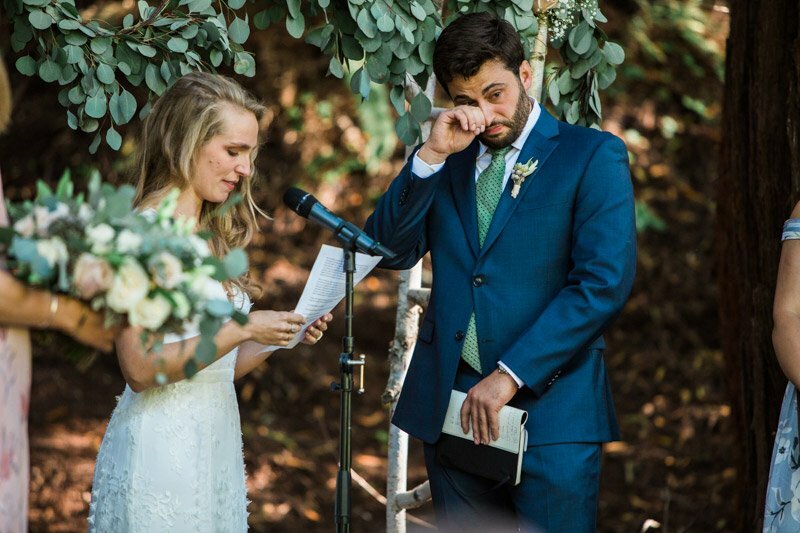 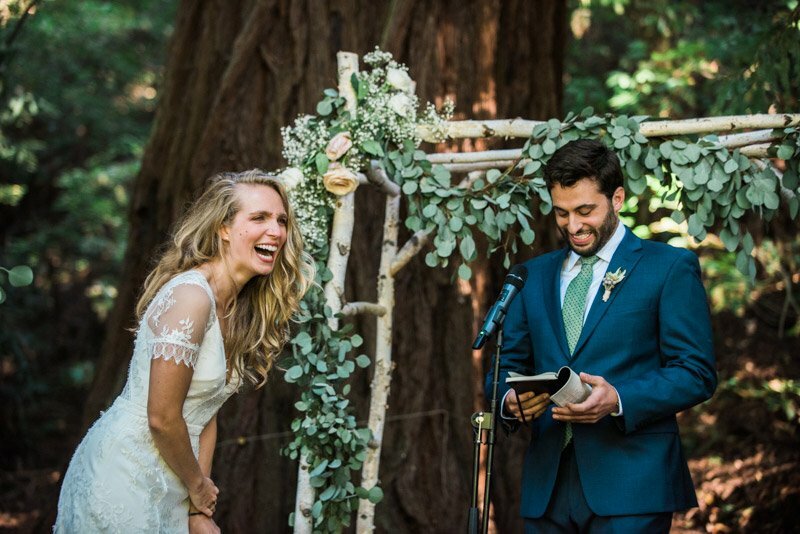 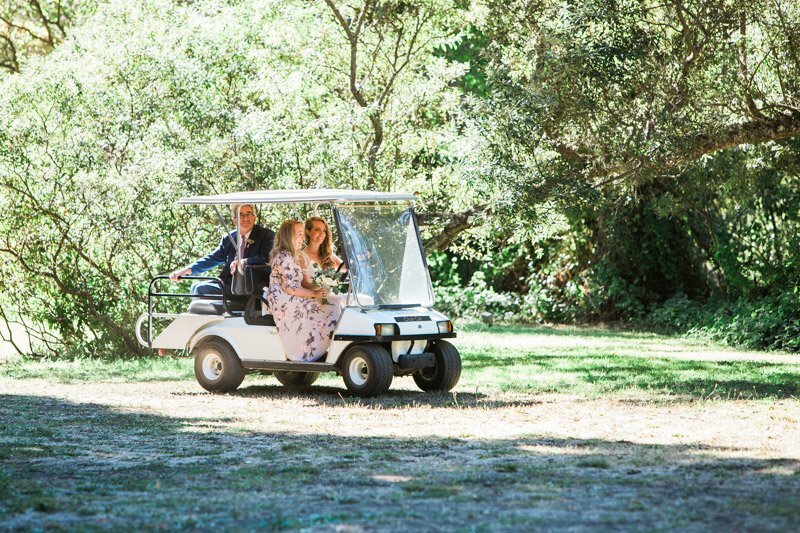 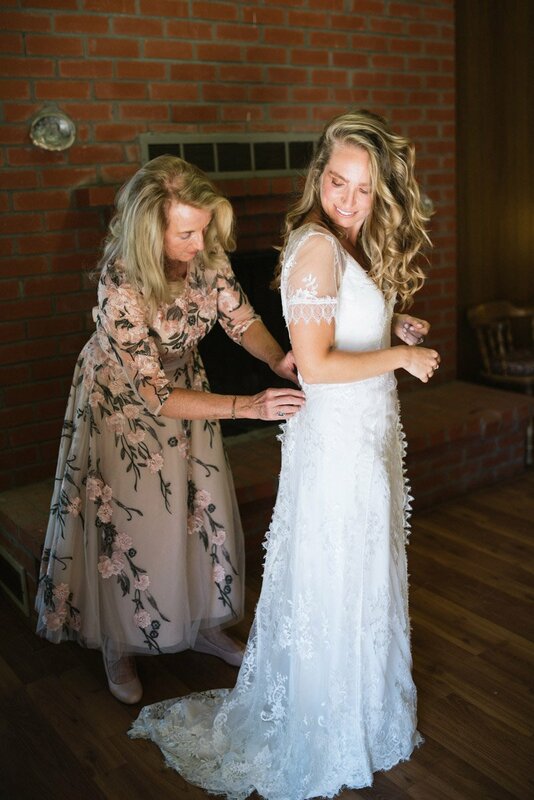 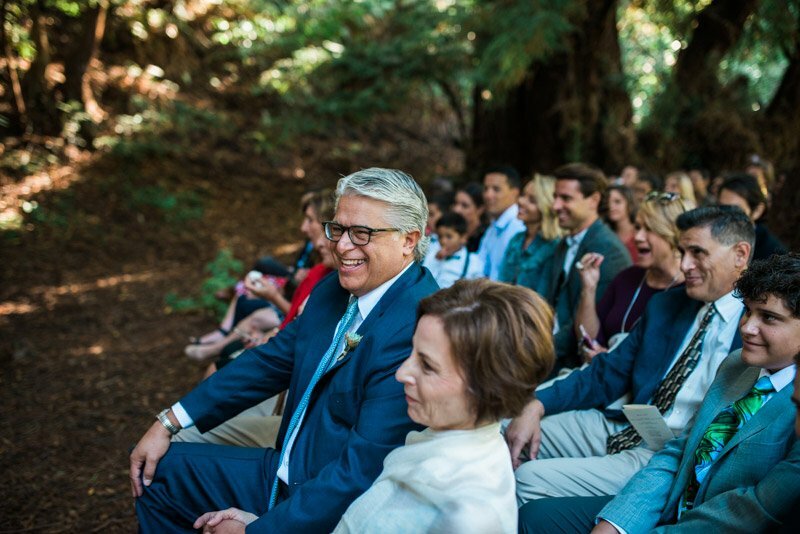 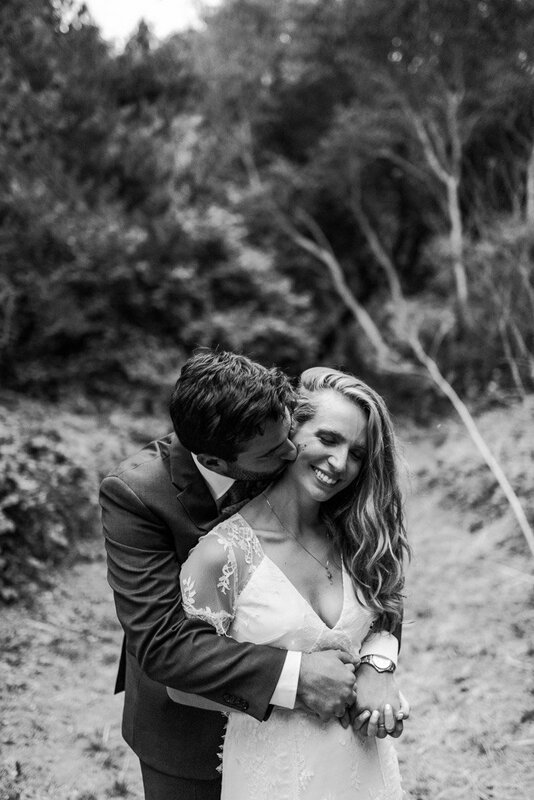 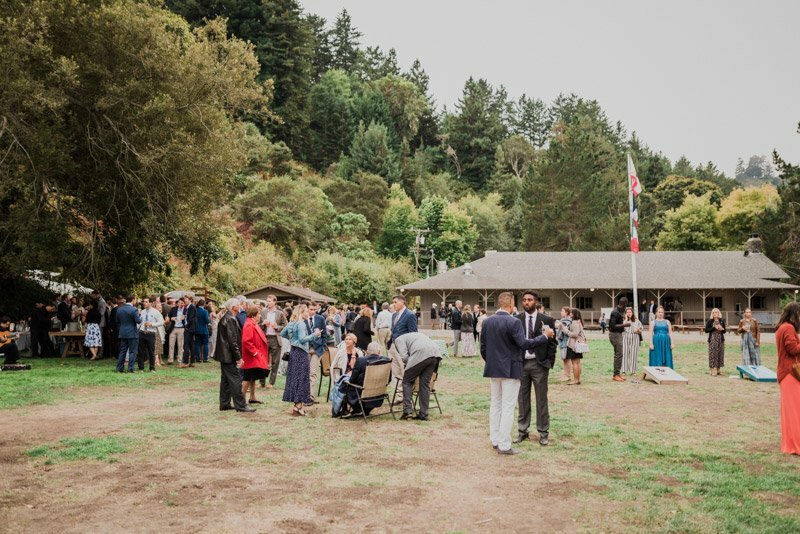 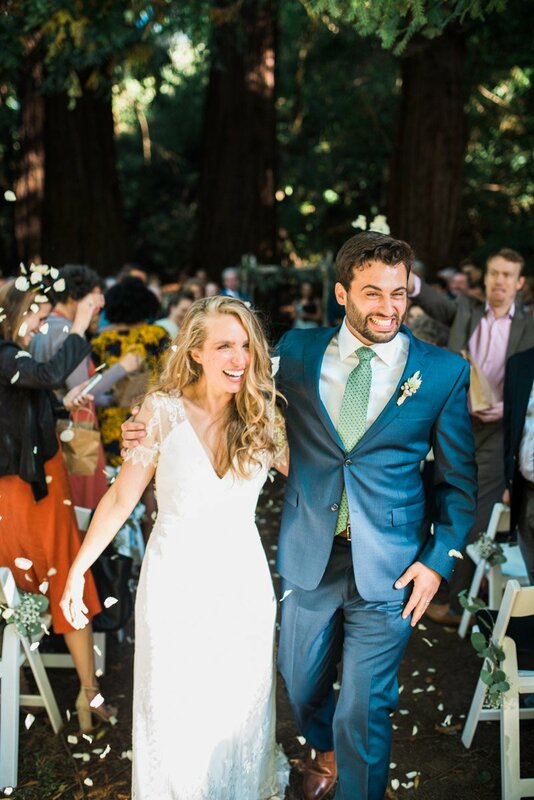 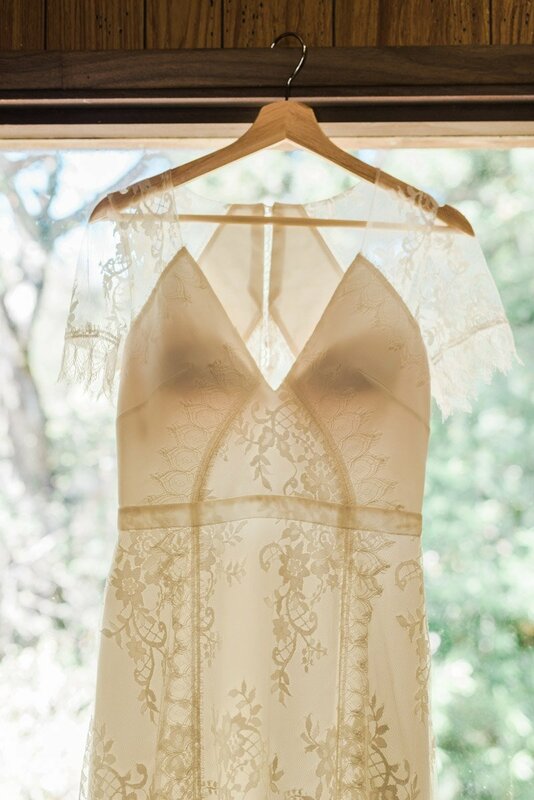 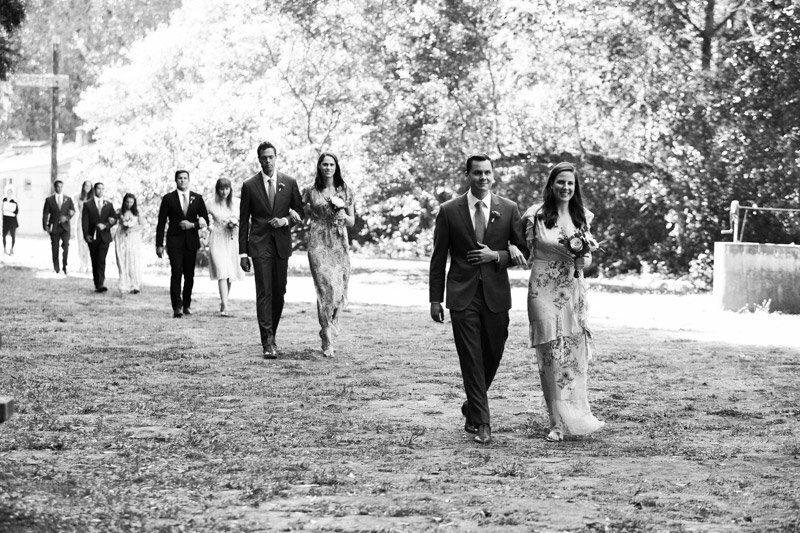 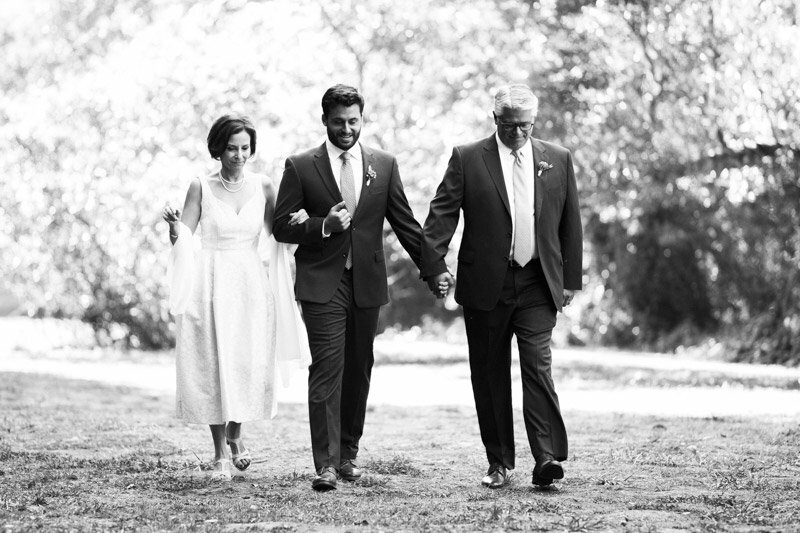 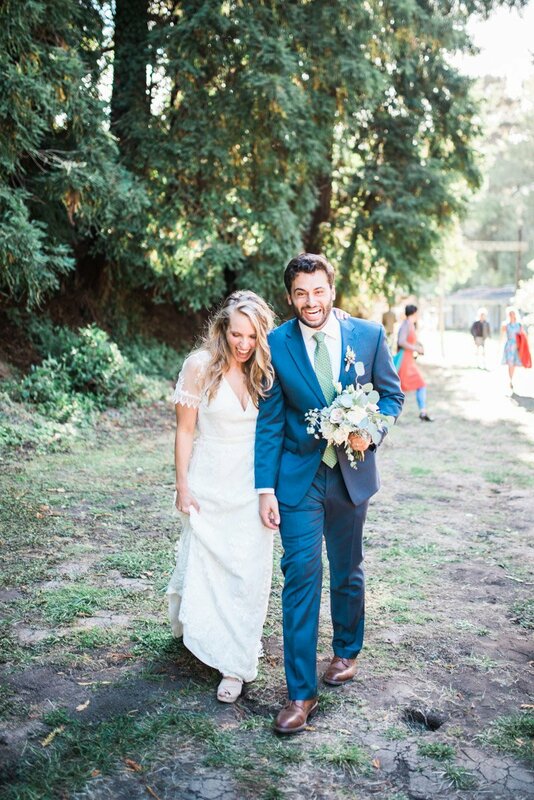 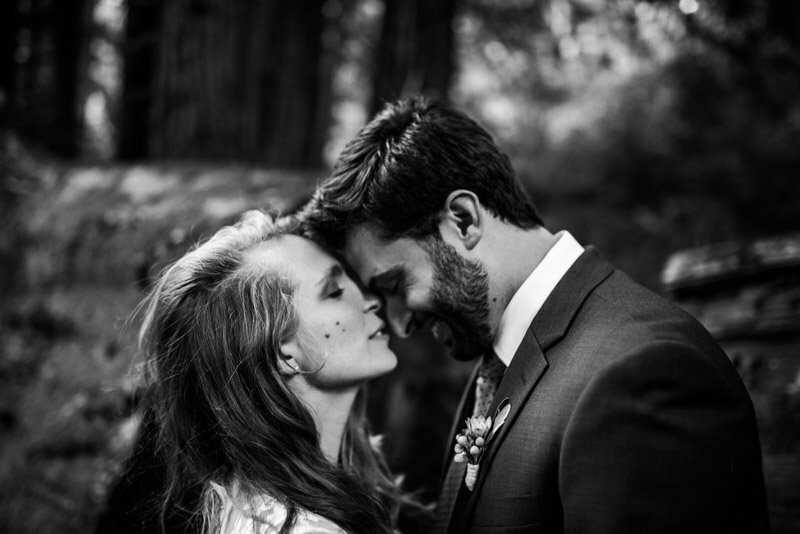 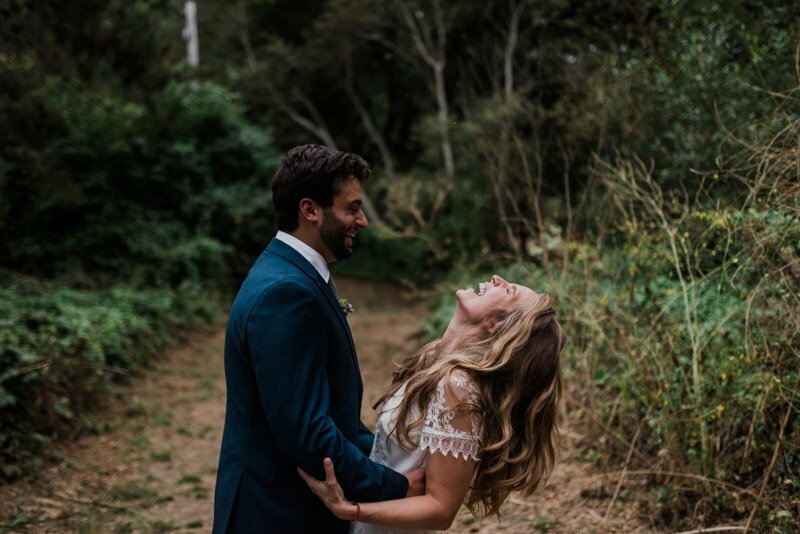 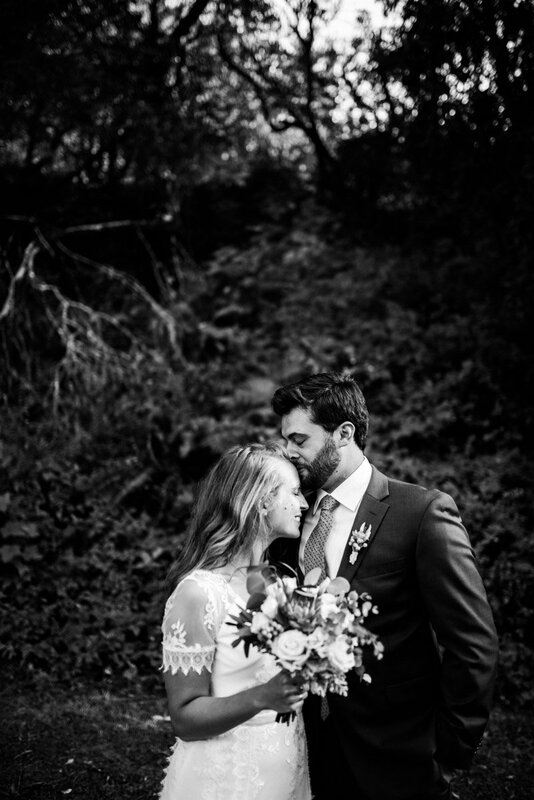 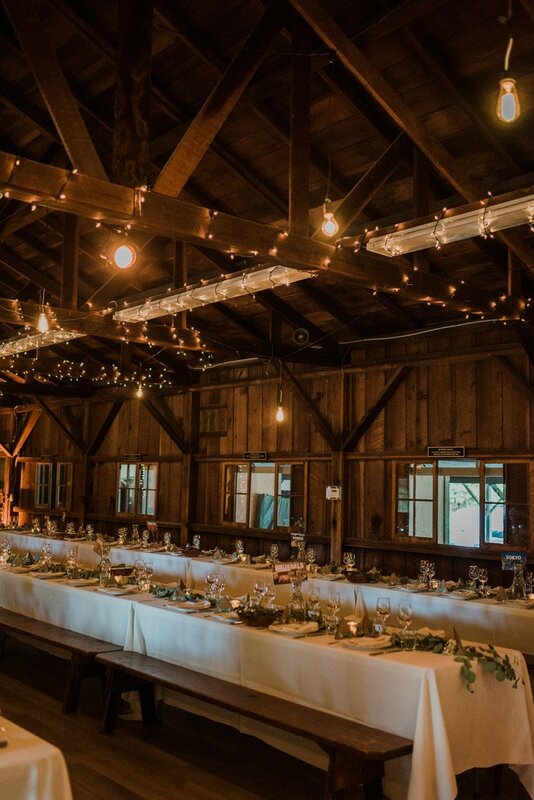 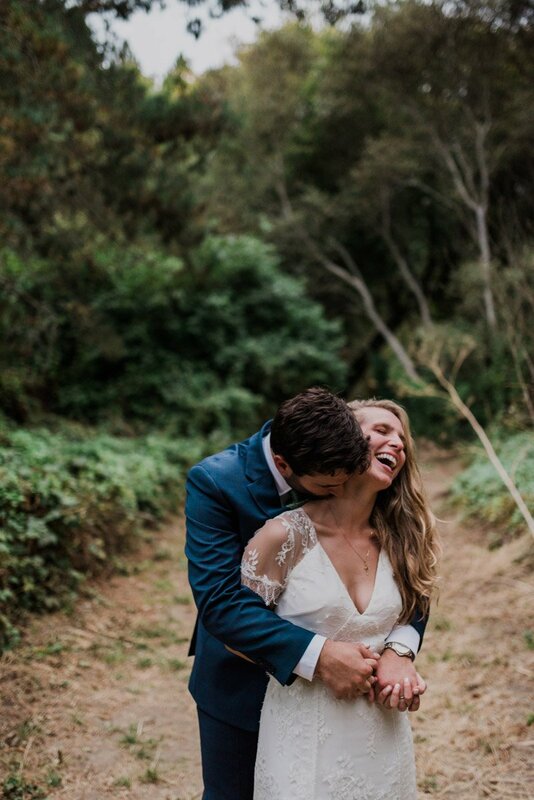 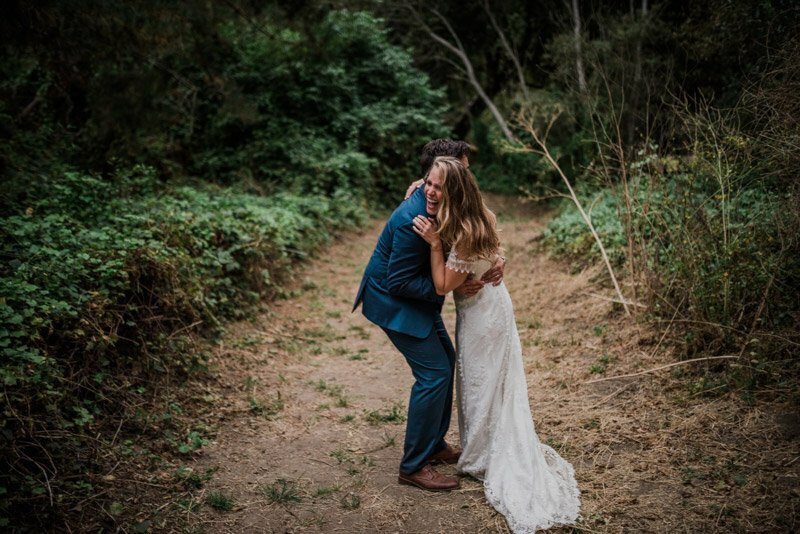 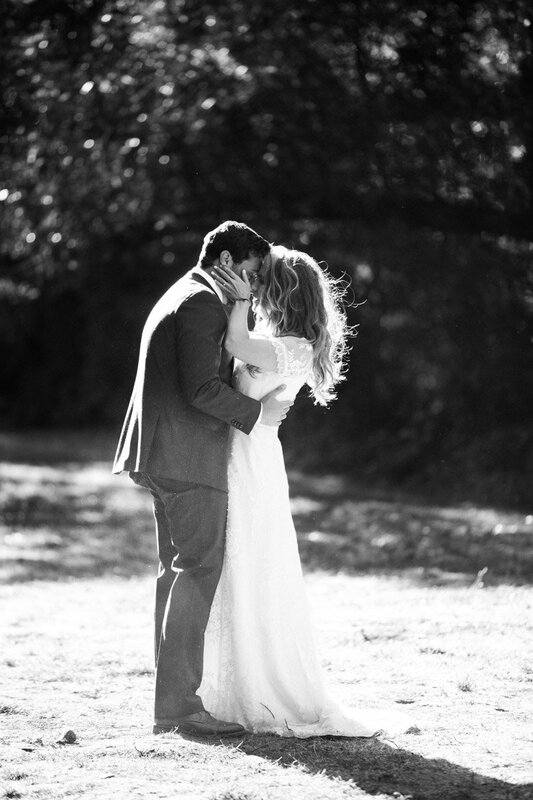 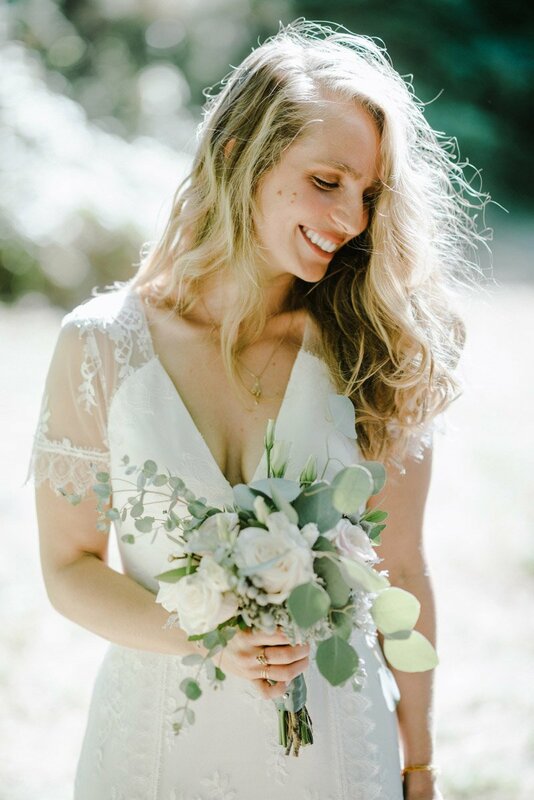 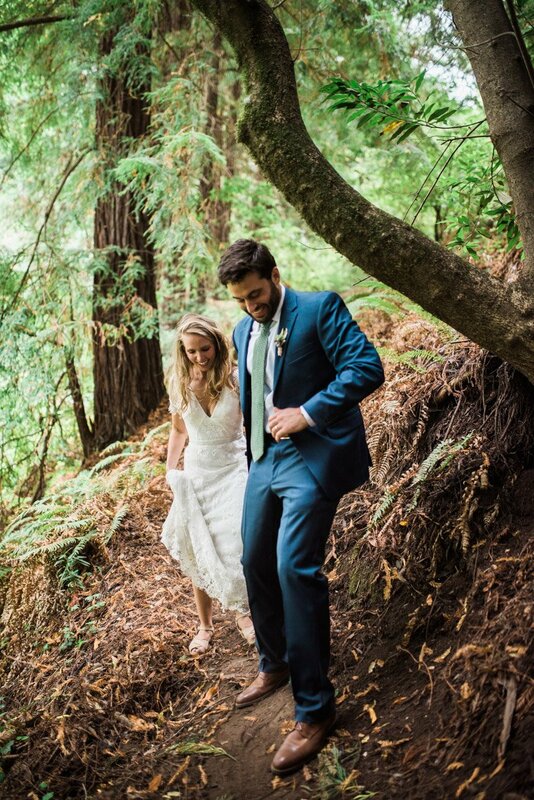 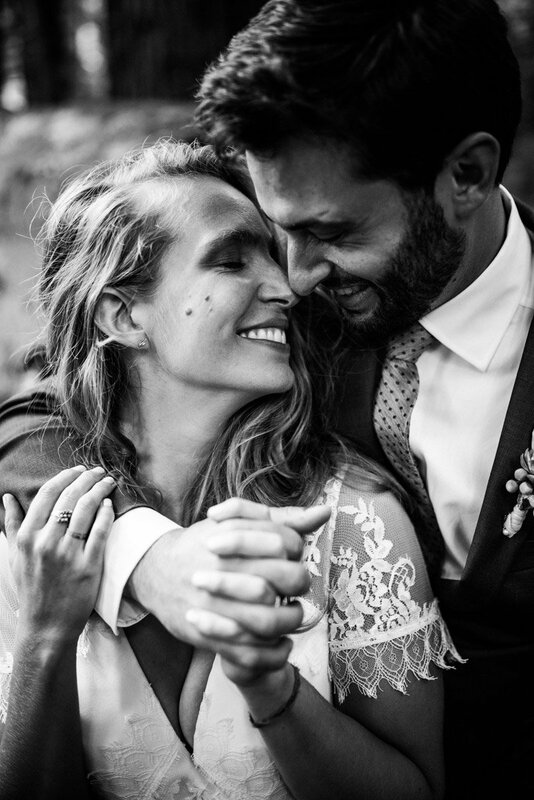 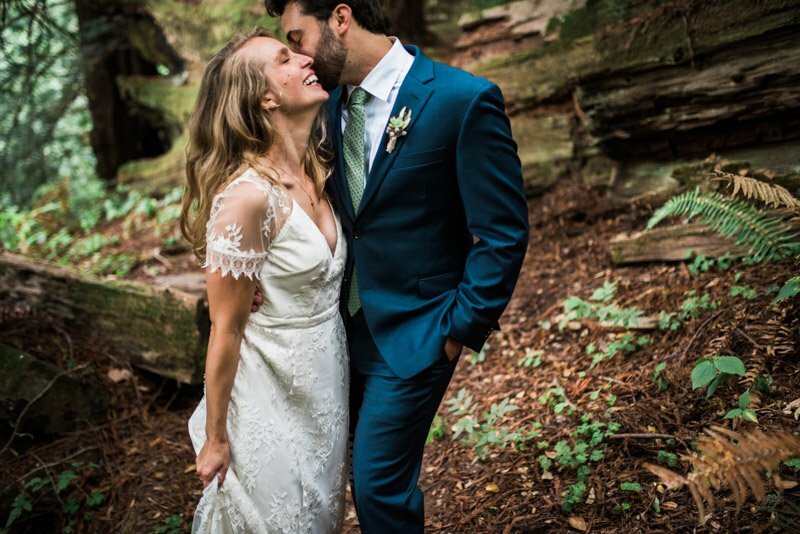 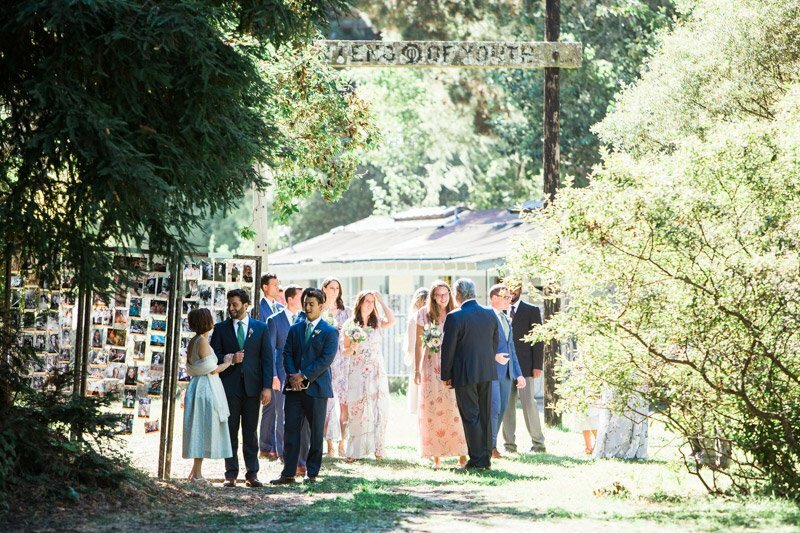 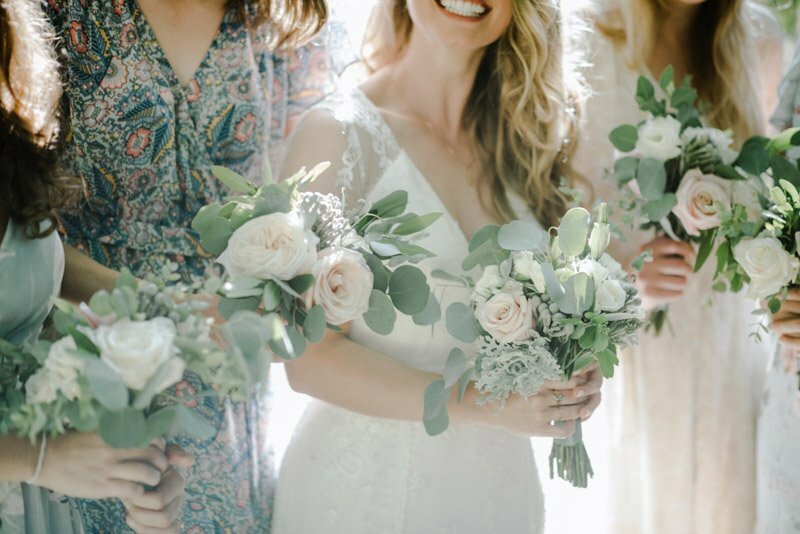 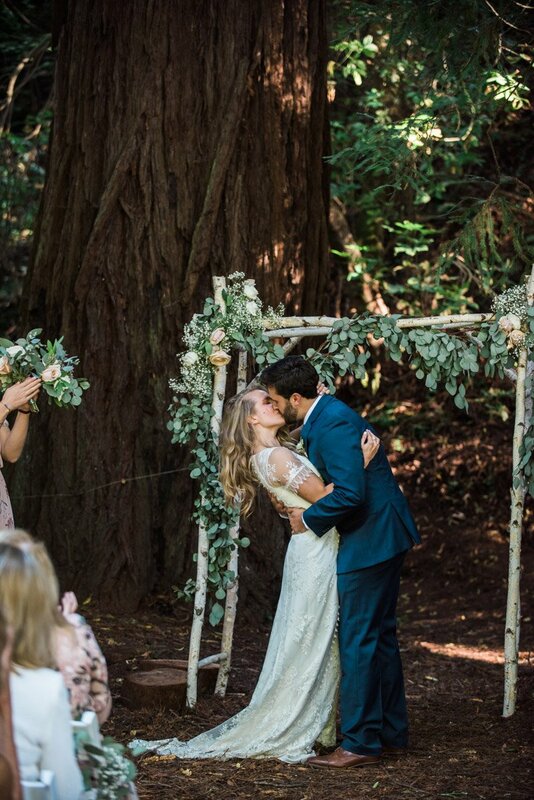 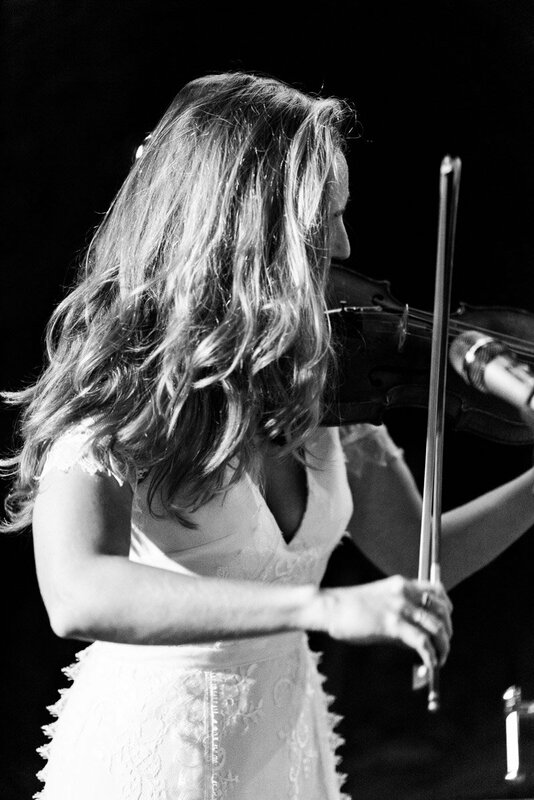 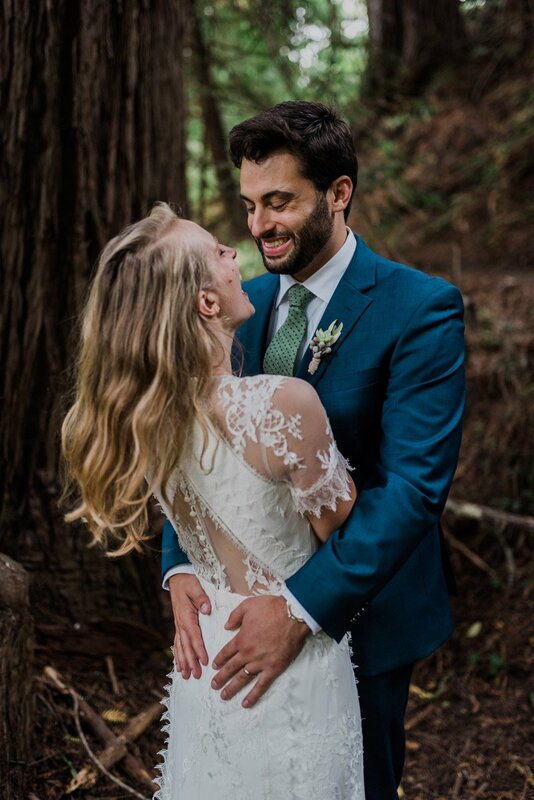 And WOW were there so many emotion filled moments during Nick and Laura’s OVY Camp Wedding in San Gregorio, Ca. 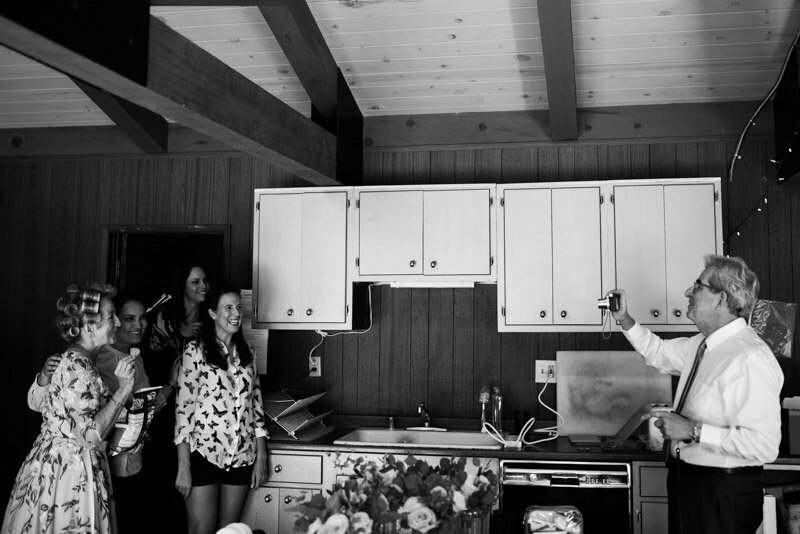 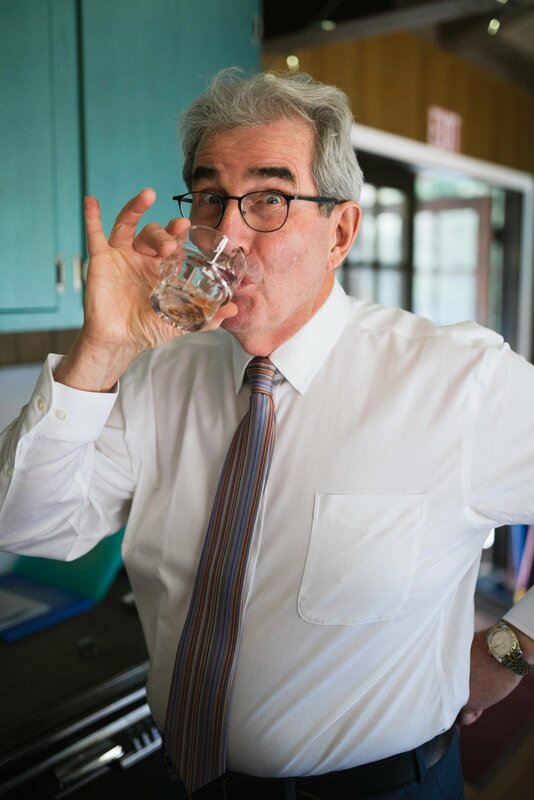 -Laura’s dad hamming it up when Laura was getting ready, and, well all the time. 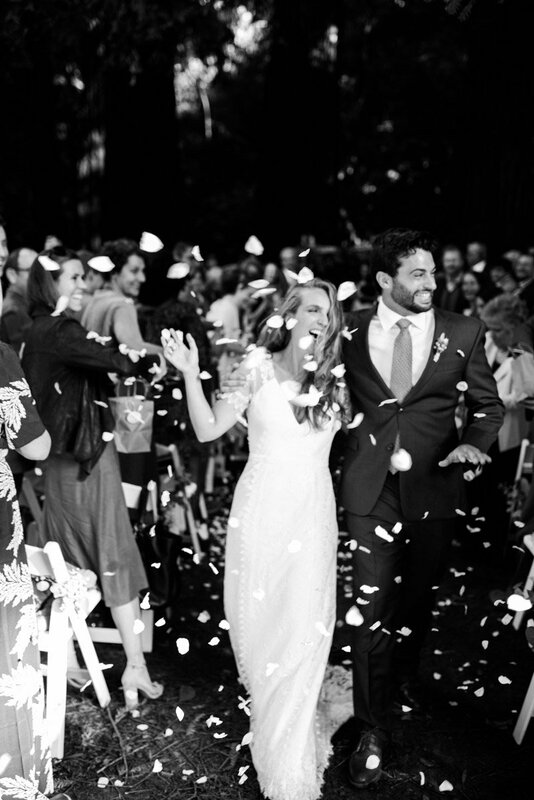 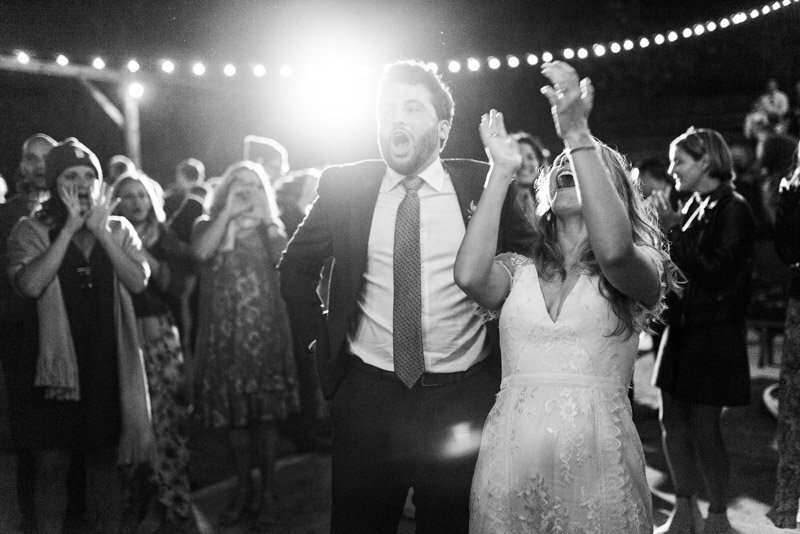 -Nick’s reaction when he saw Laura at the altar. 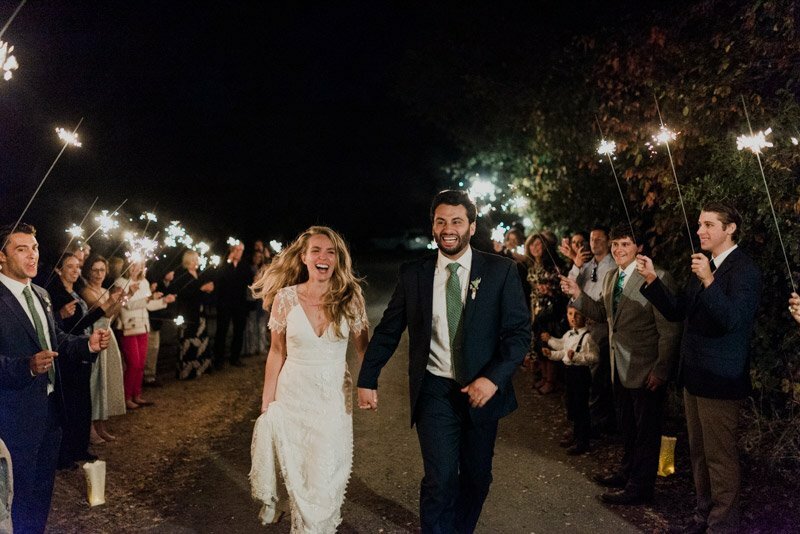 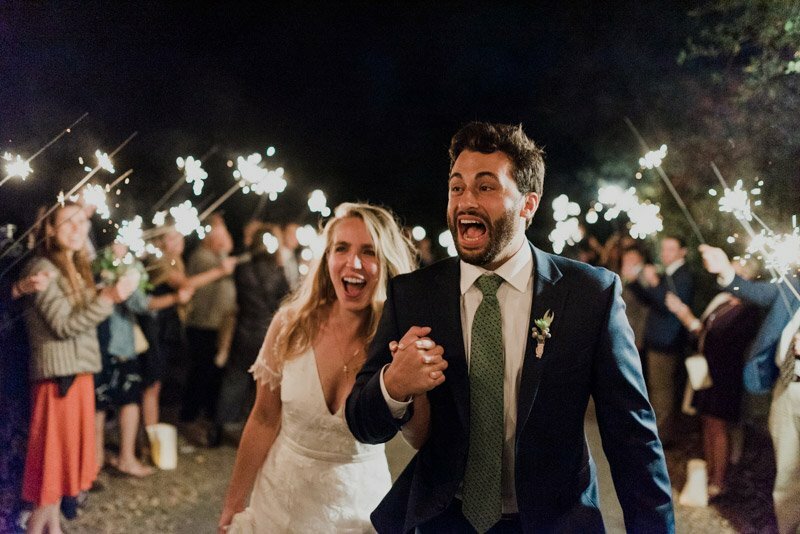 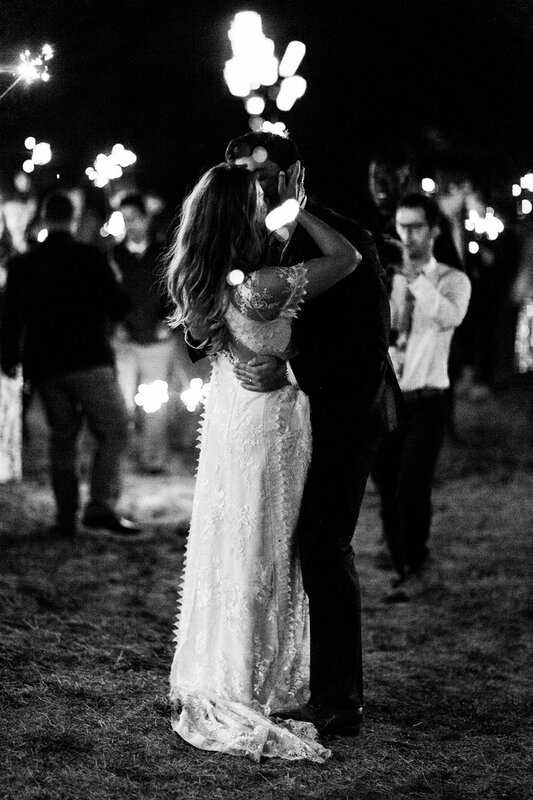 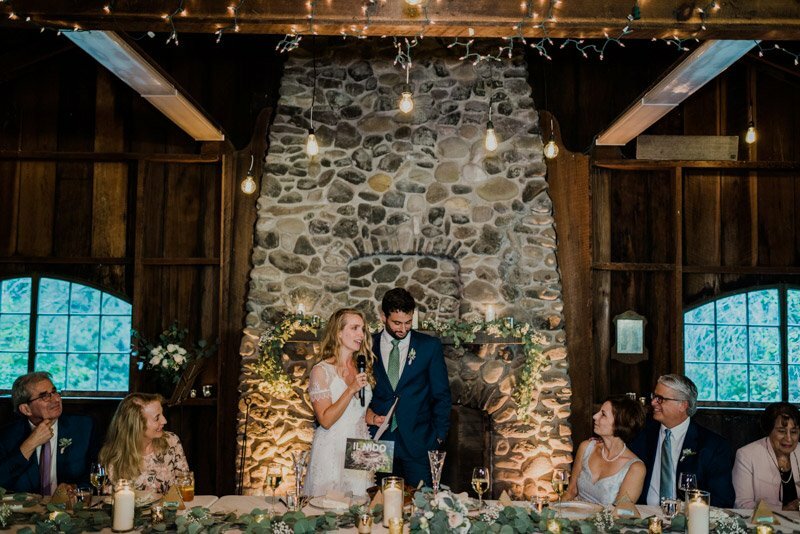 epic sparkler transition to their reception. 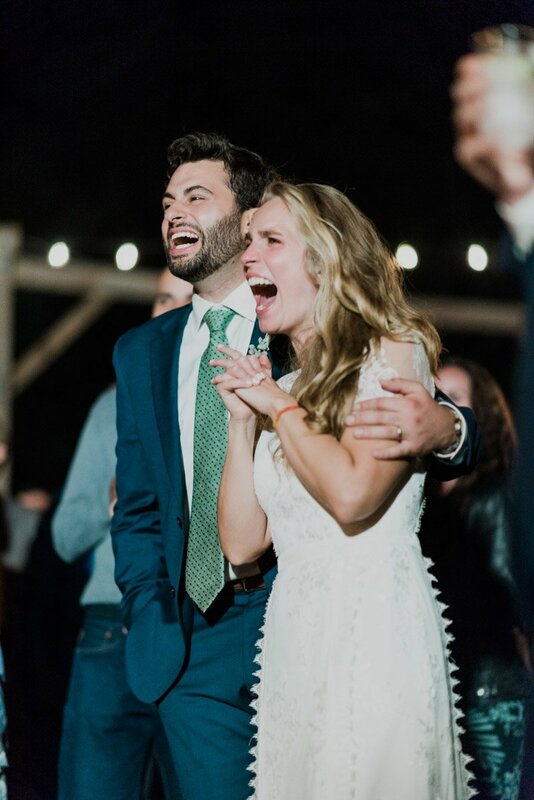 -Laura performing with her bestie Nick’s favorite song, Dani California by the Red Hot Chili Peppers – his reaction was legendary. 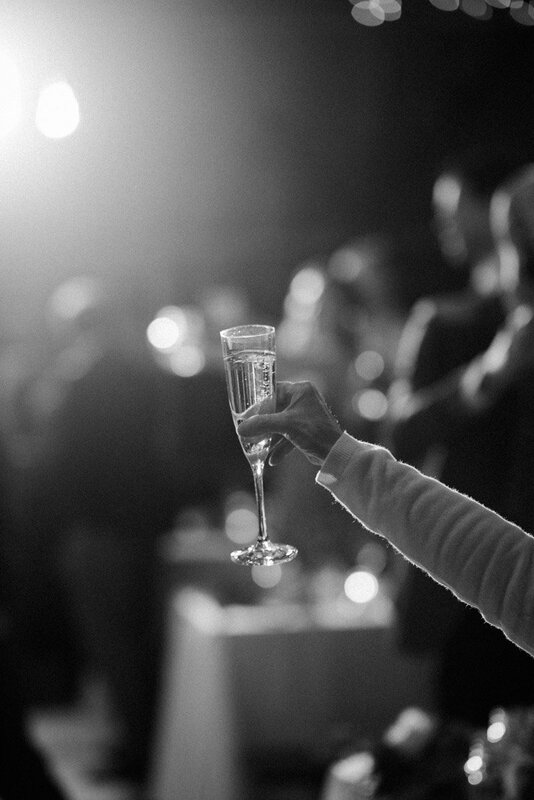 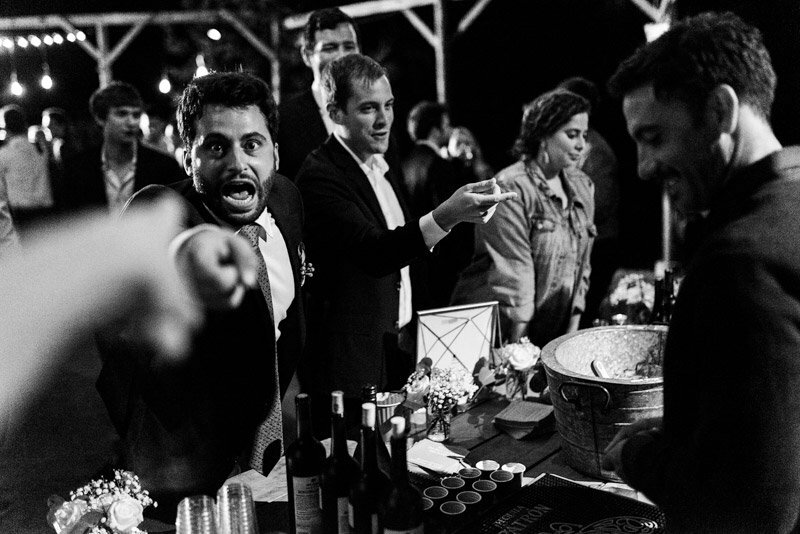 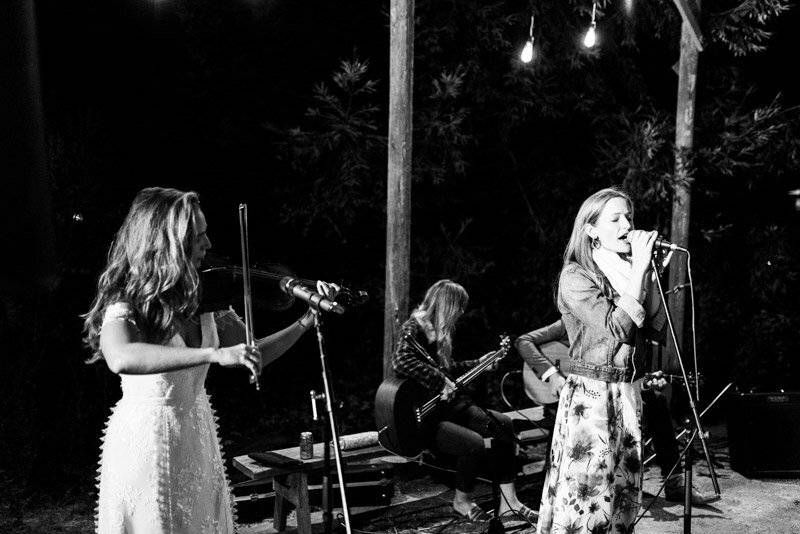 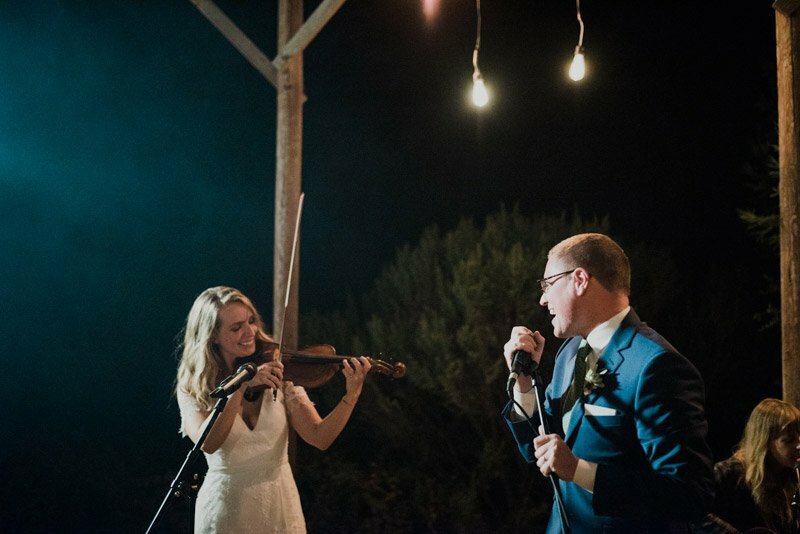 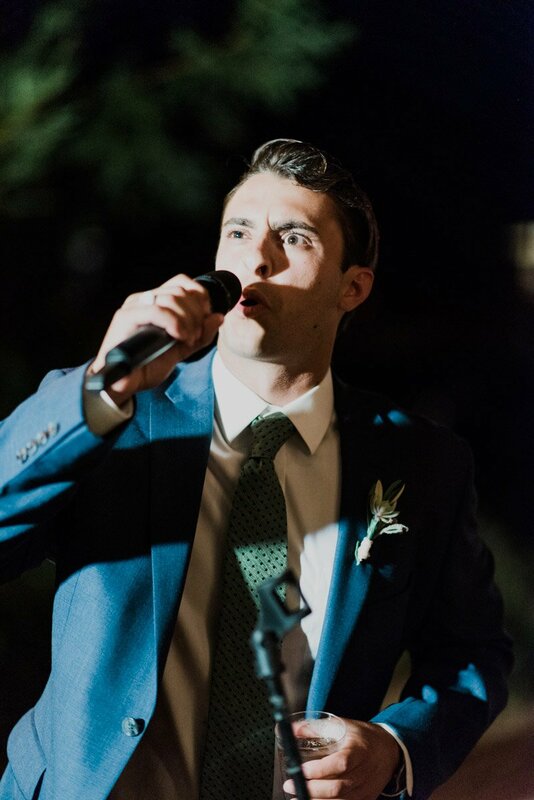 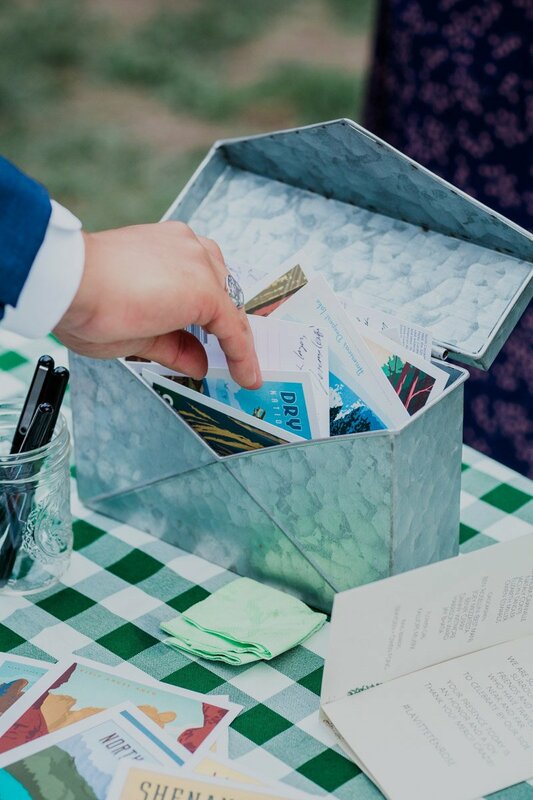 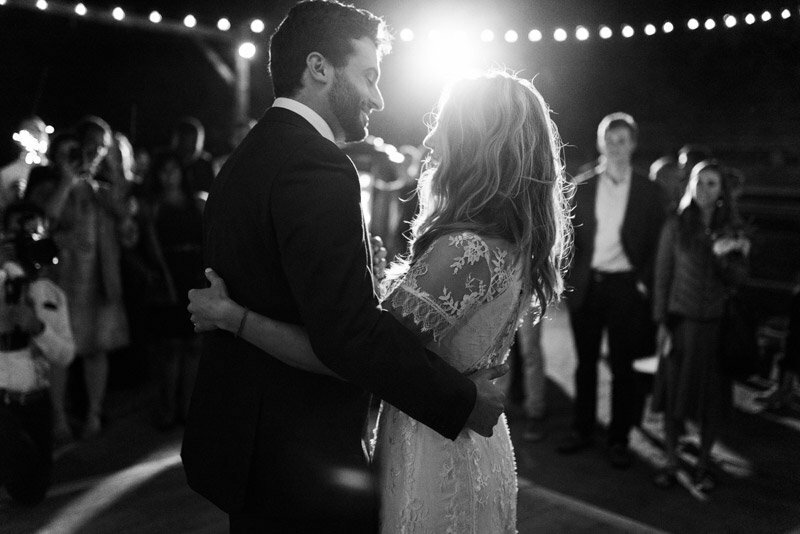 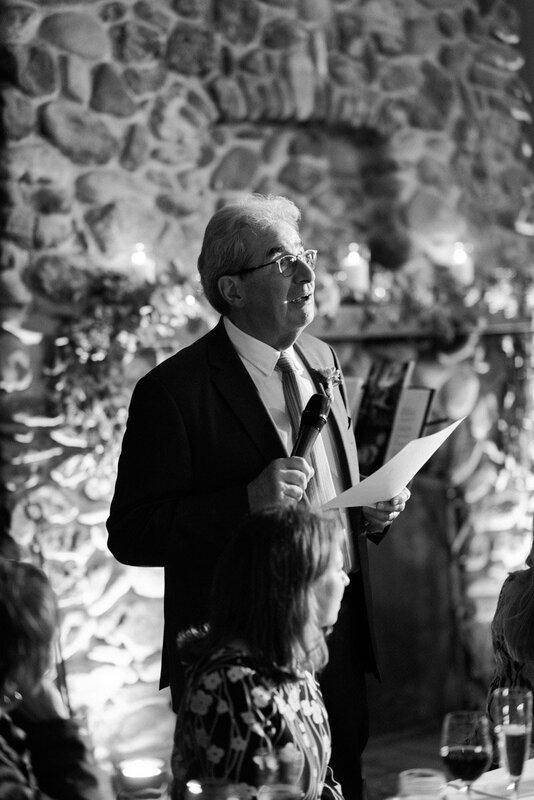 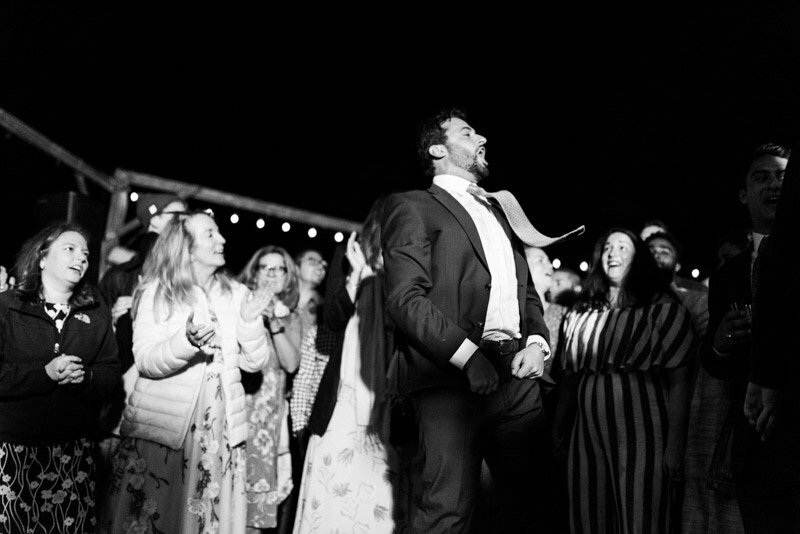 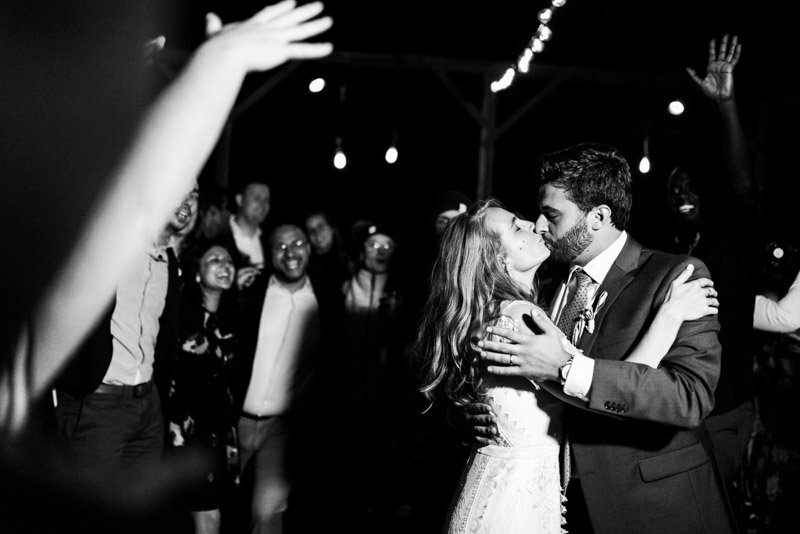 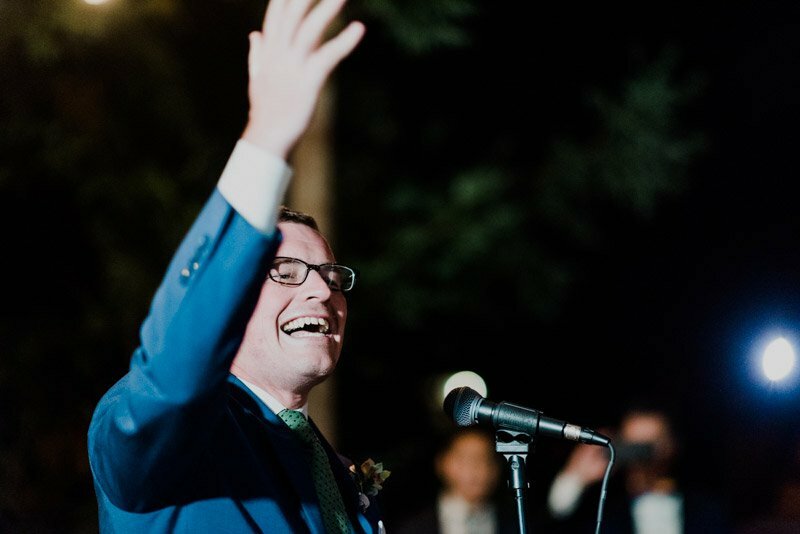 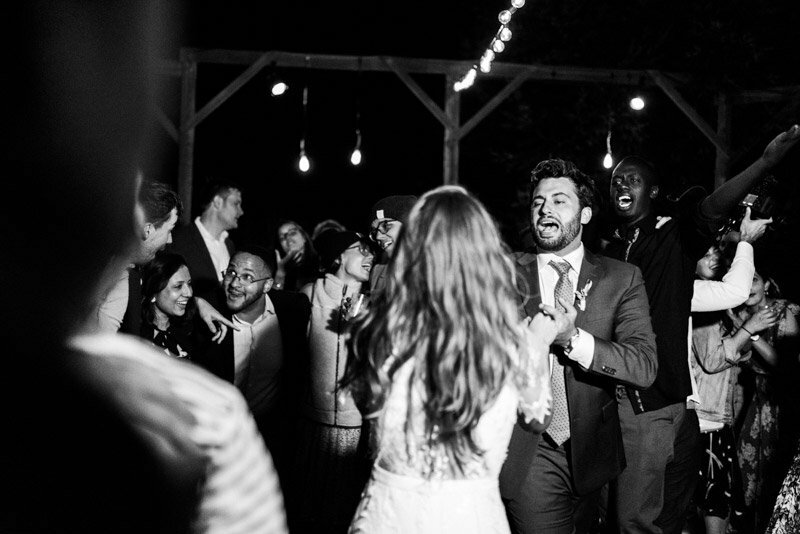 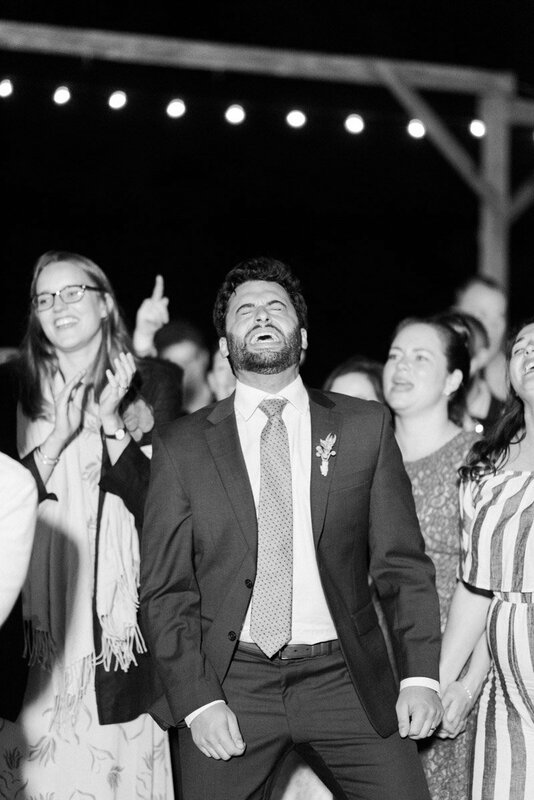 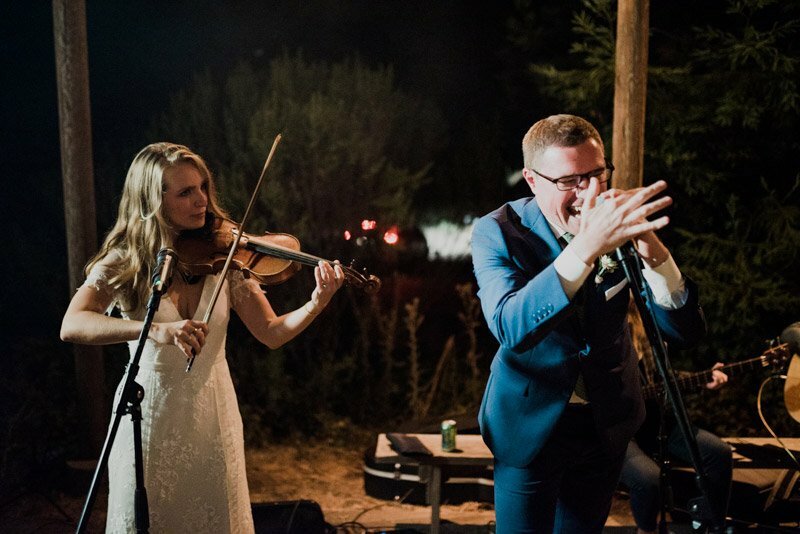 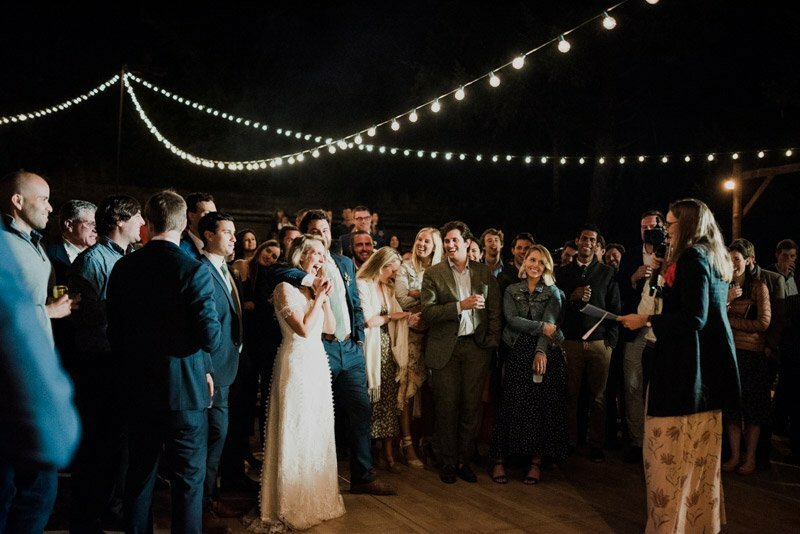 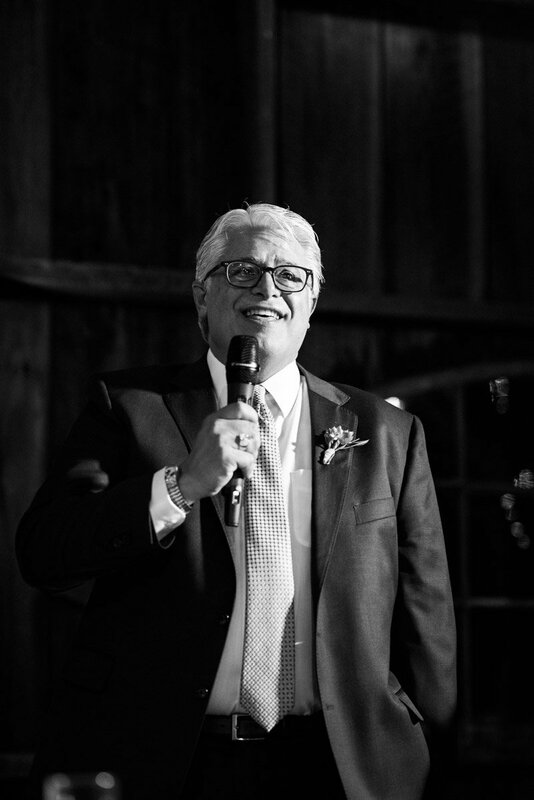 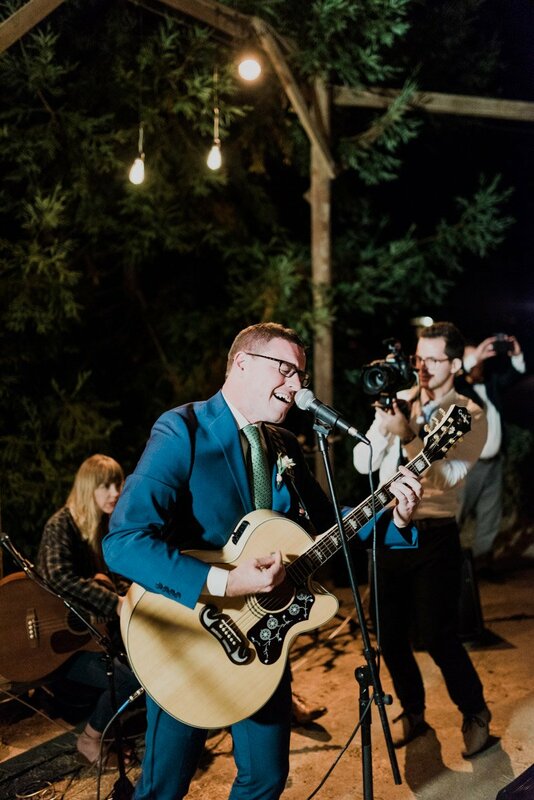 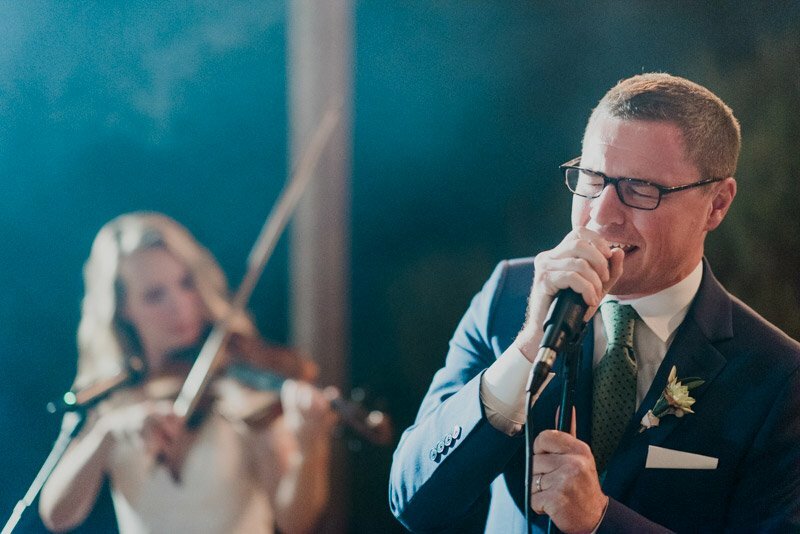 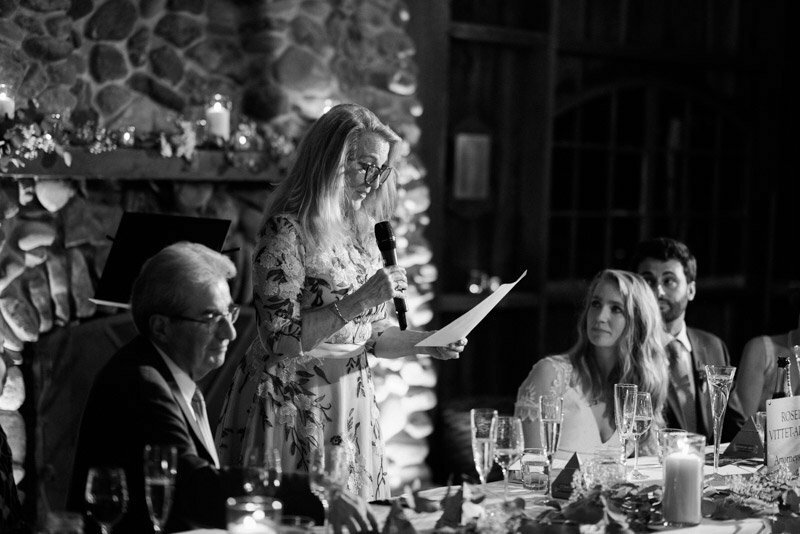 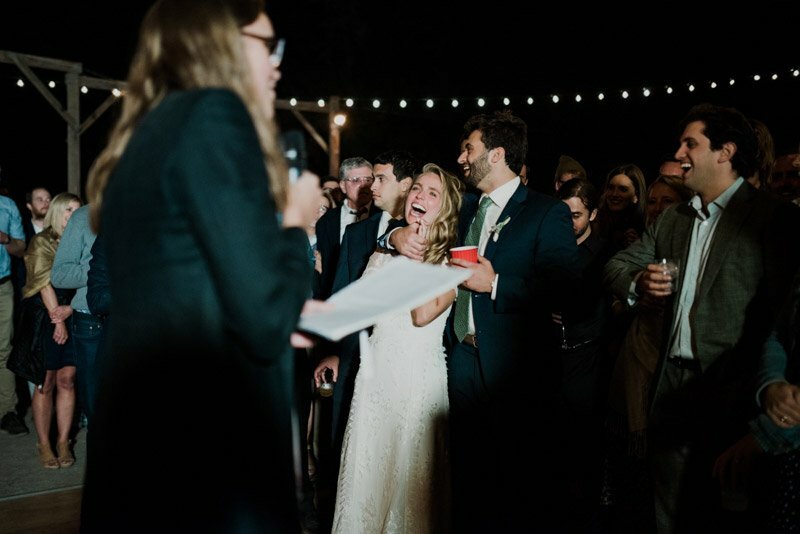 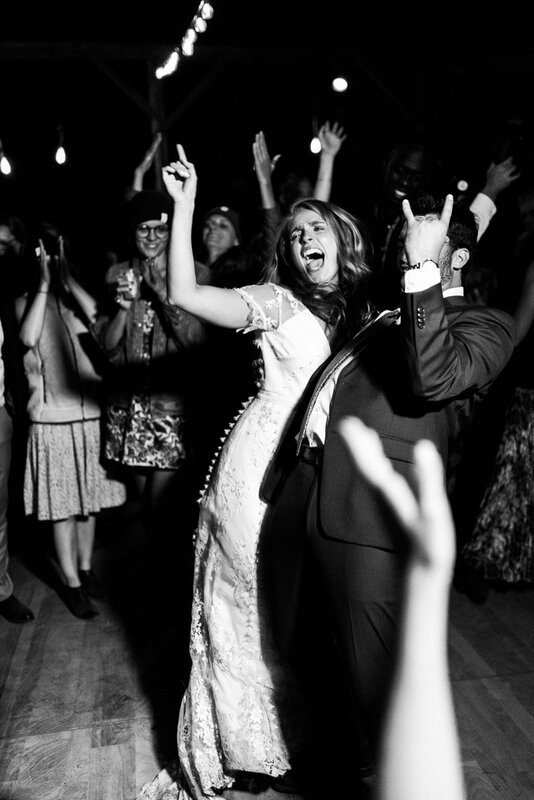 -THE best most energetic sing-a-long to Bohemian Rhapsody at the reception.